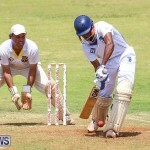 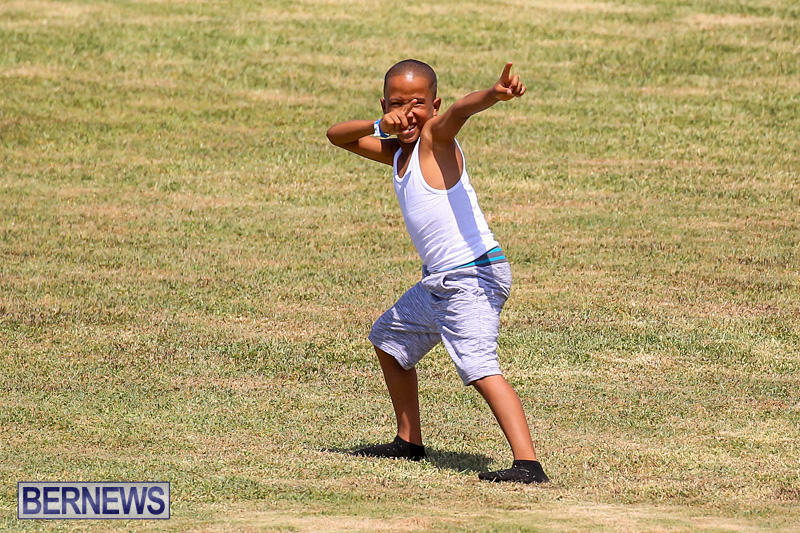 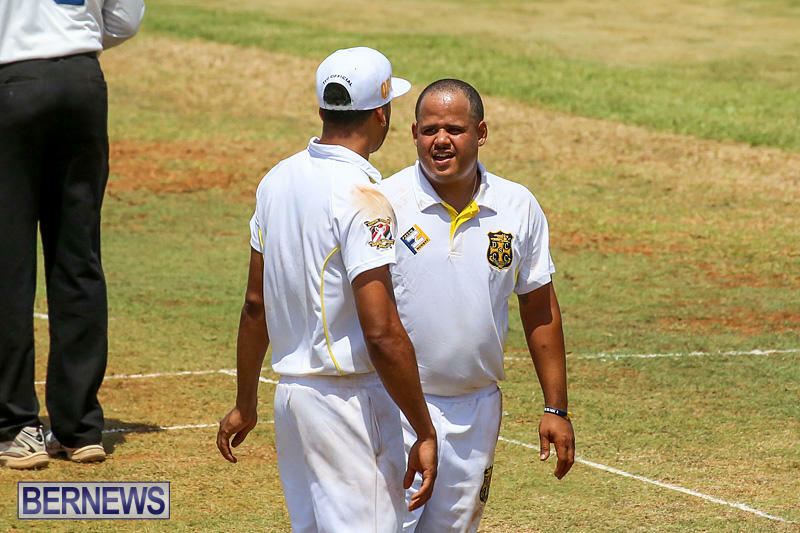 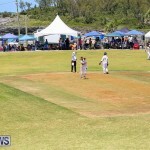 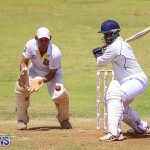 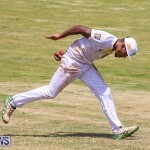 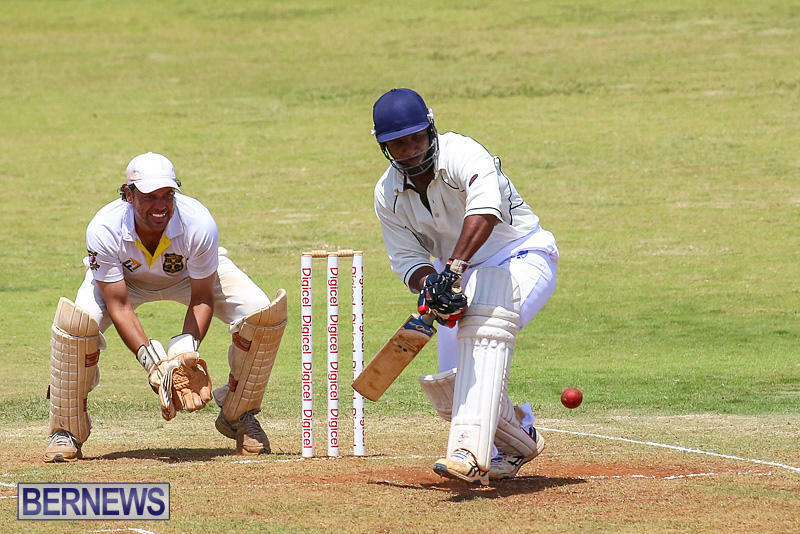 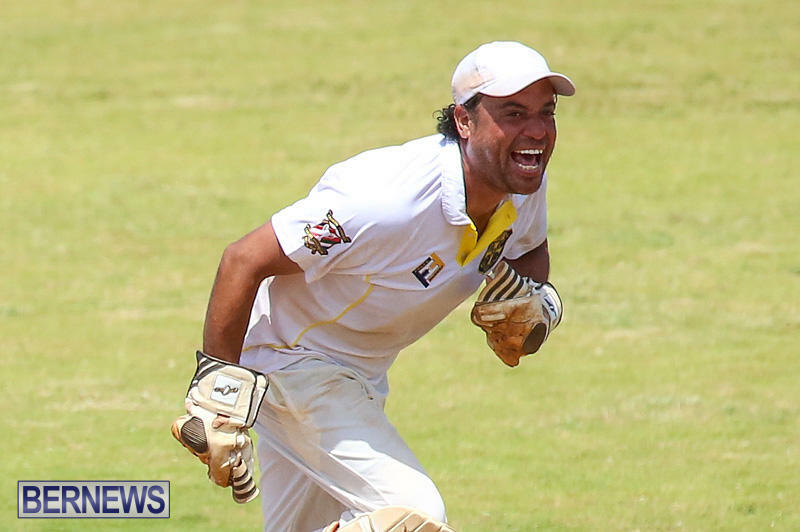 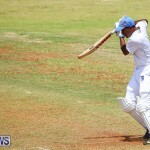 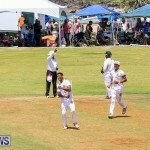 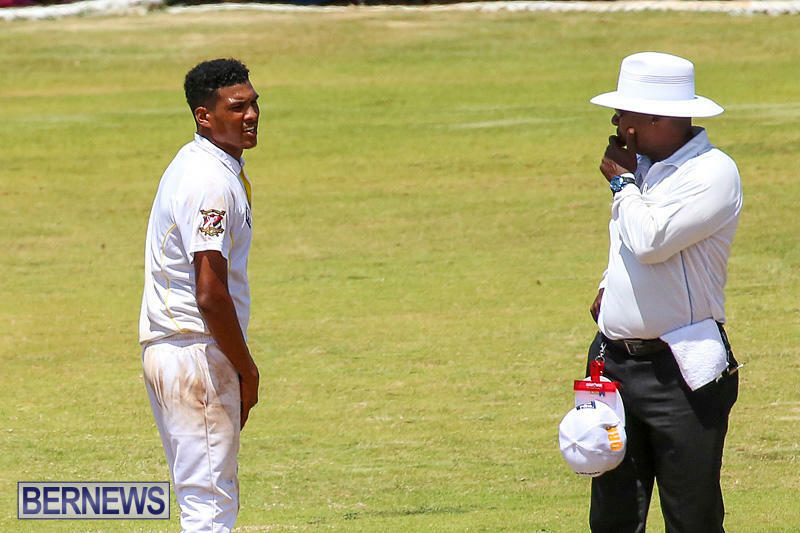 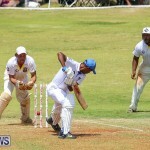 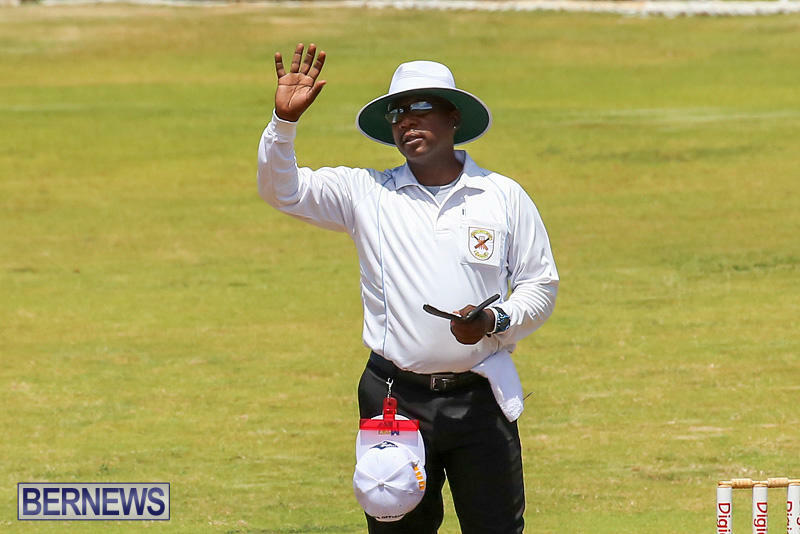 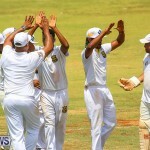 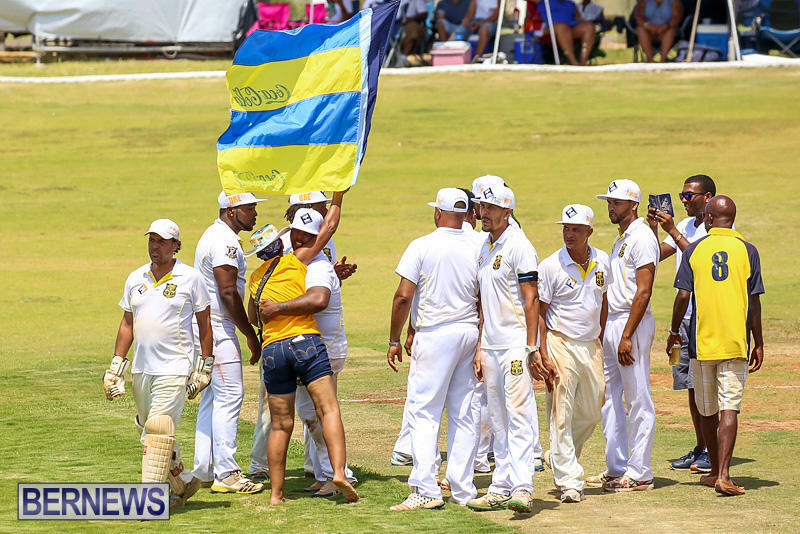 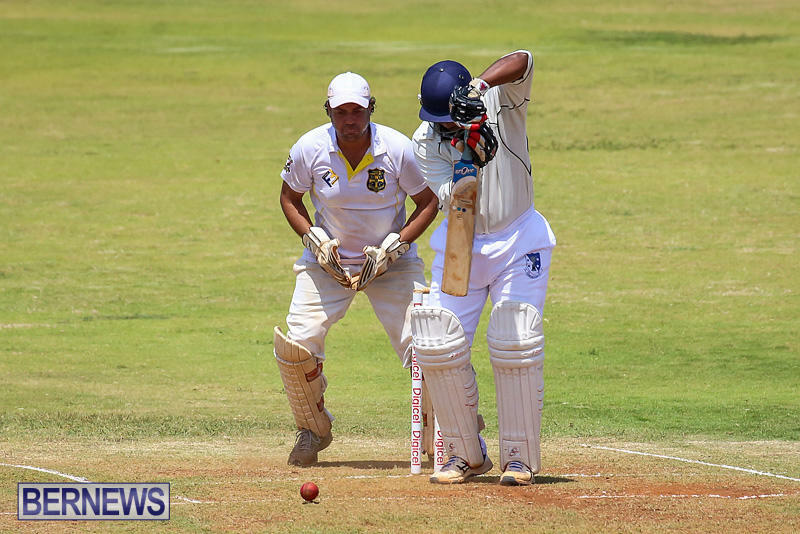 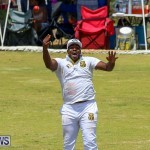 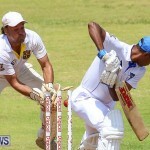 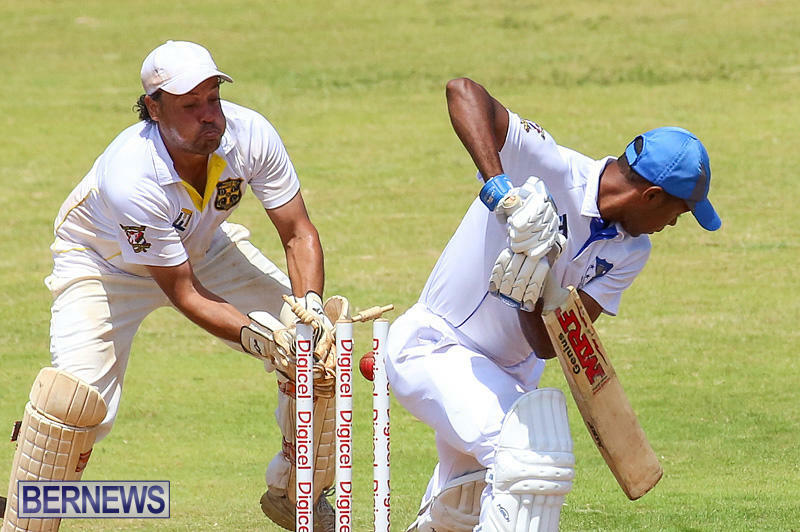 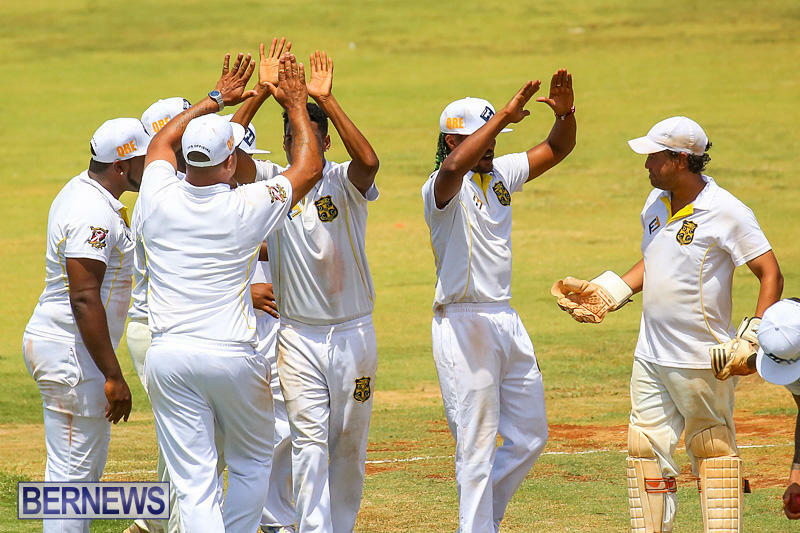 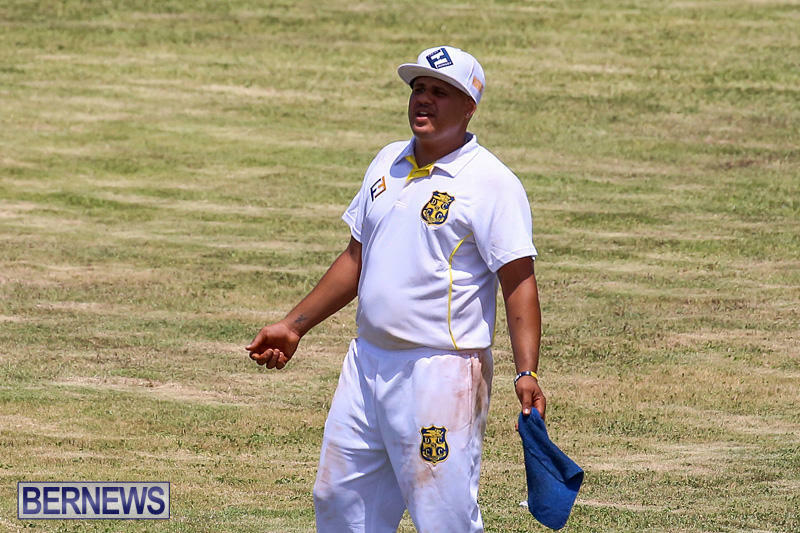 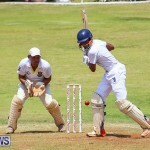 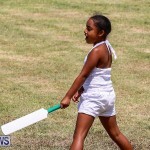 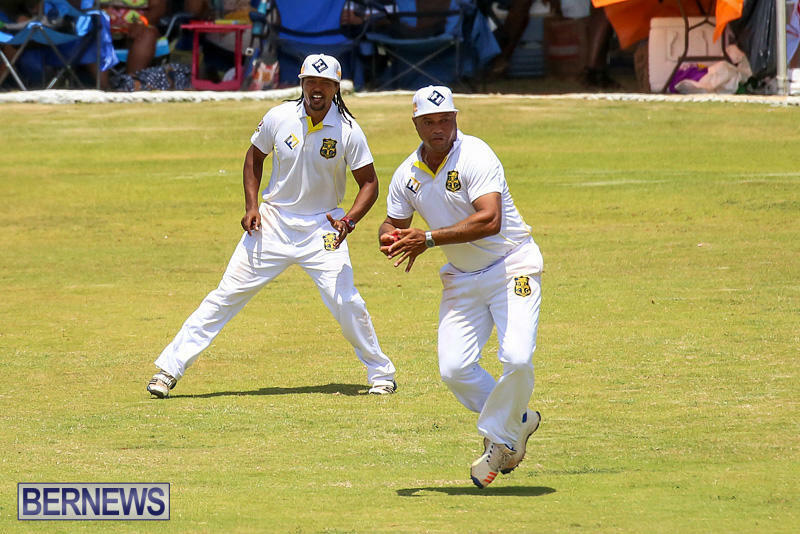 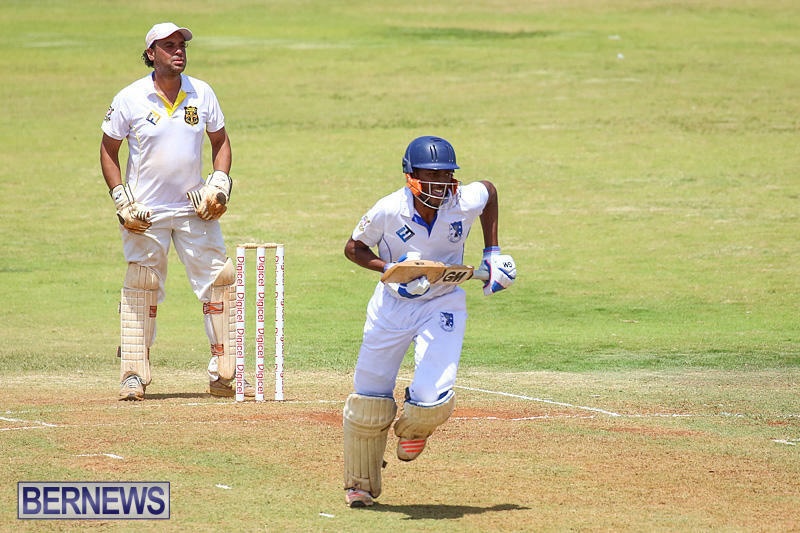 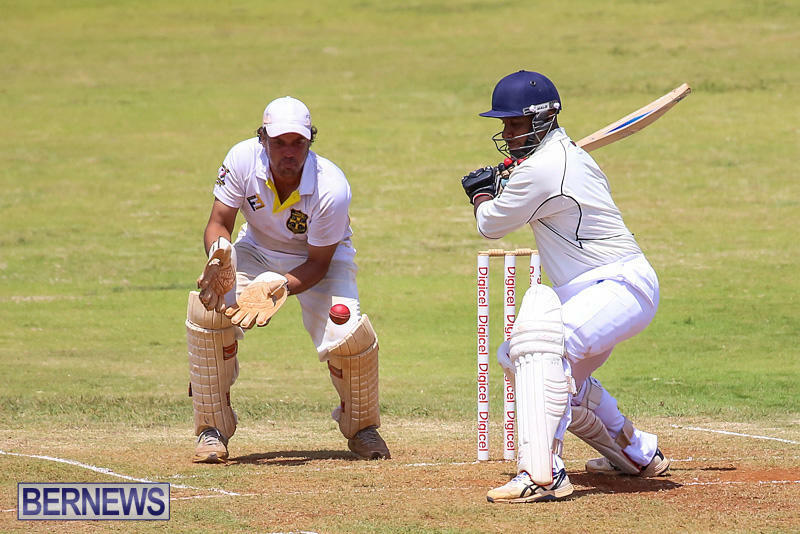 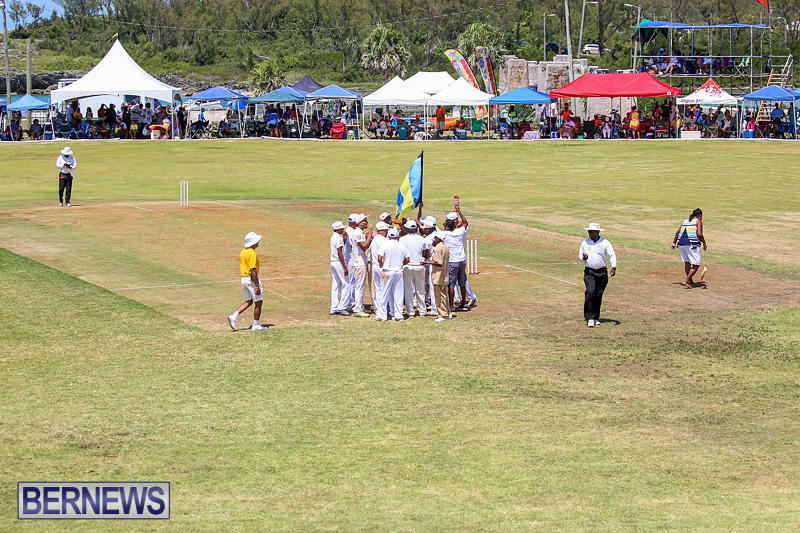 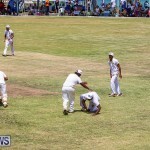 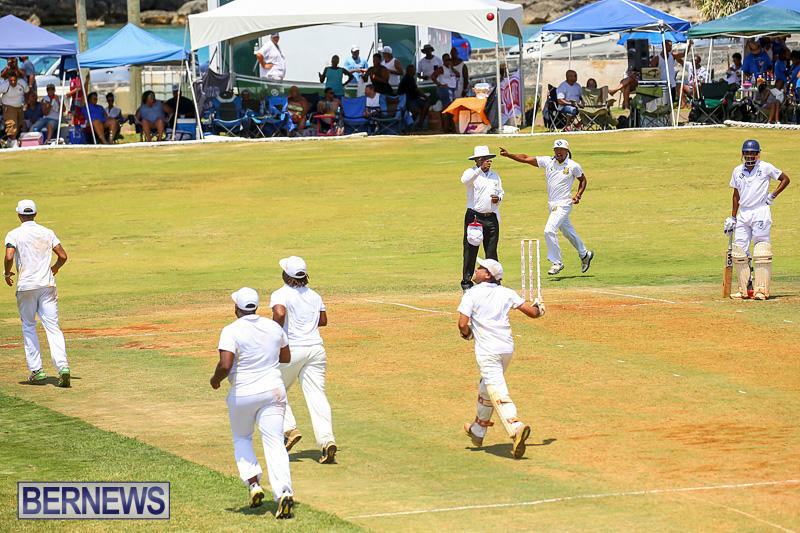 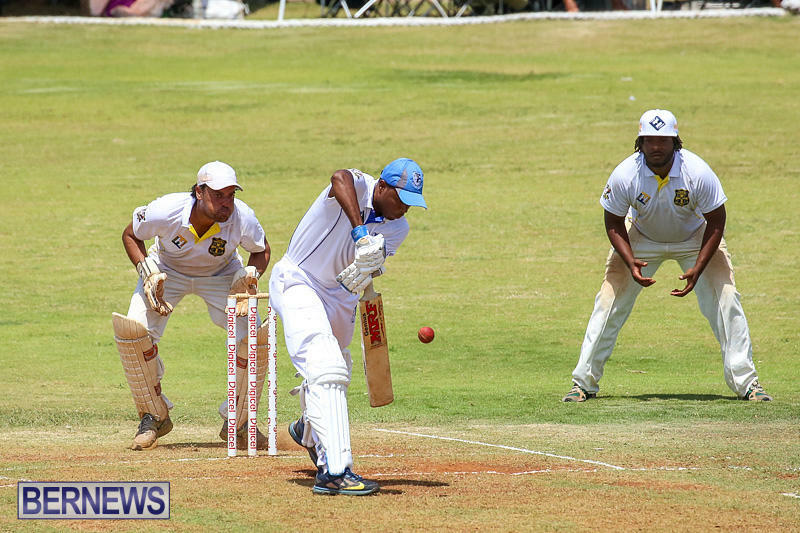 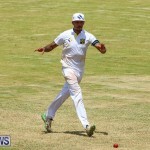 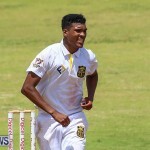 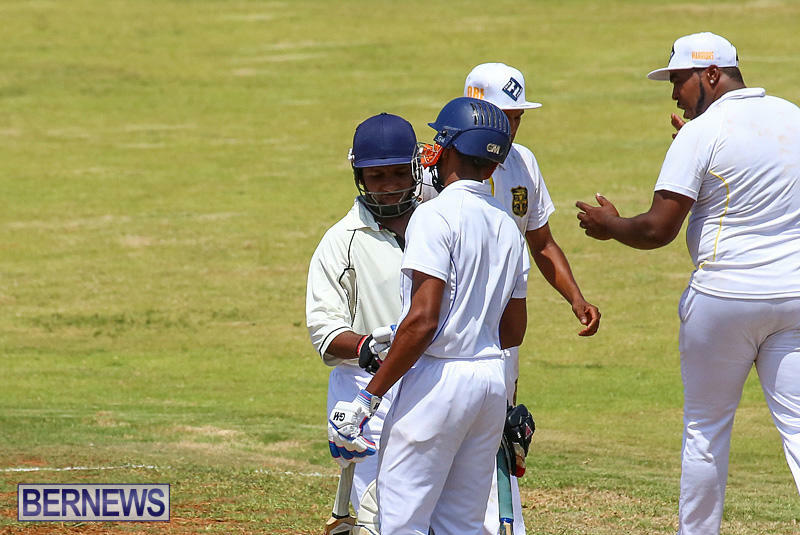 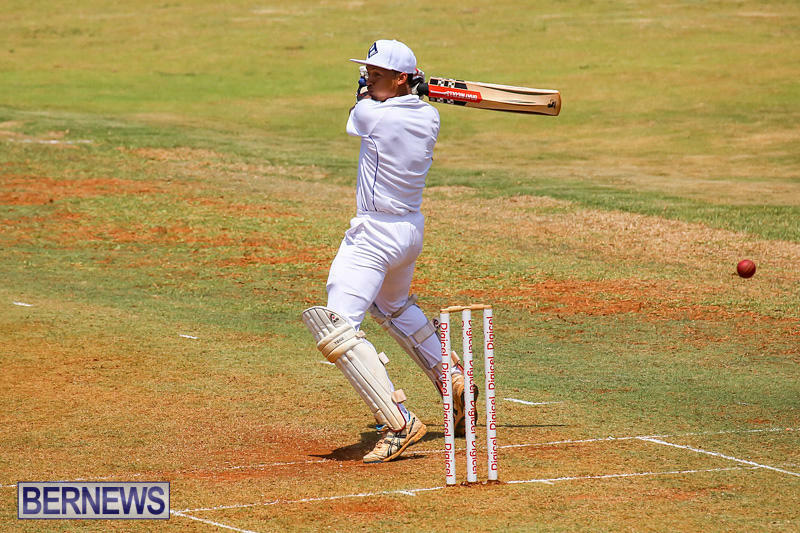 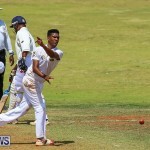 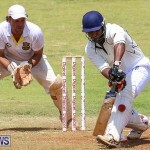 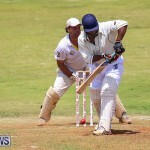 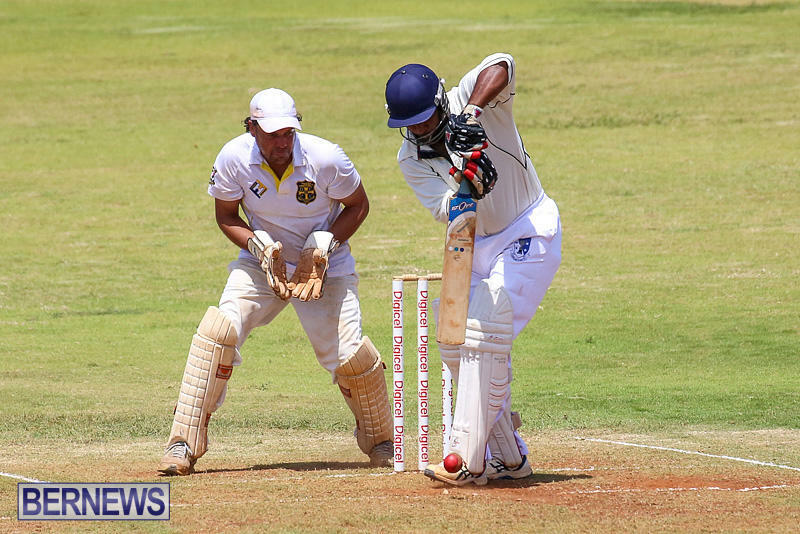 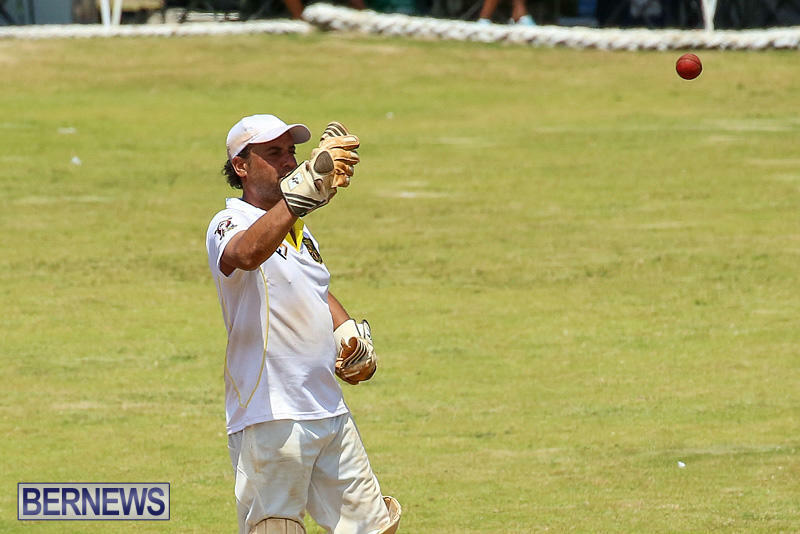 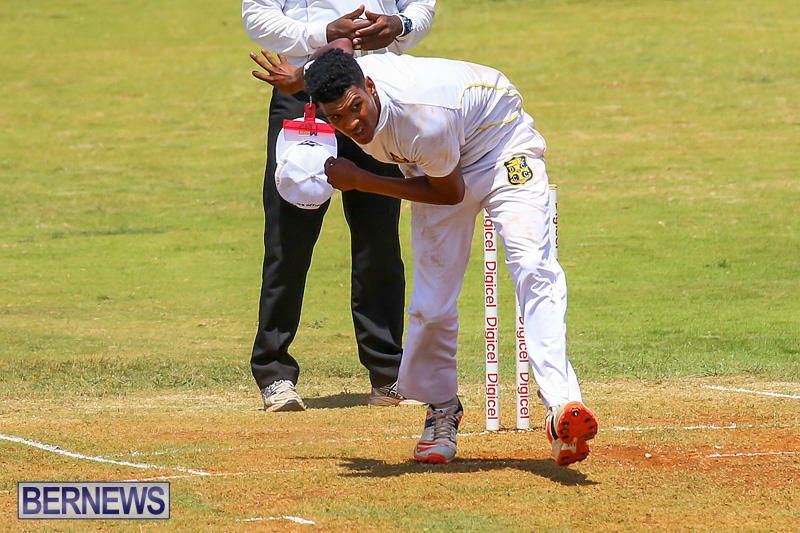 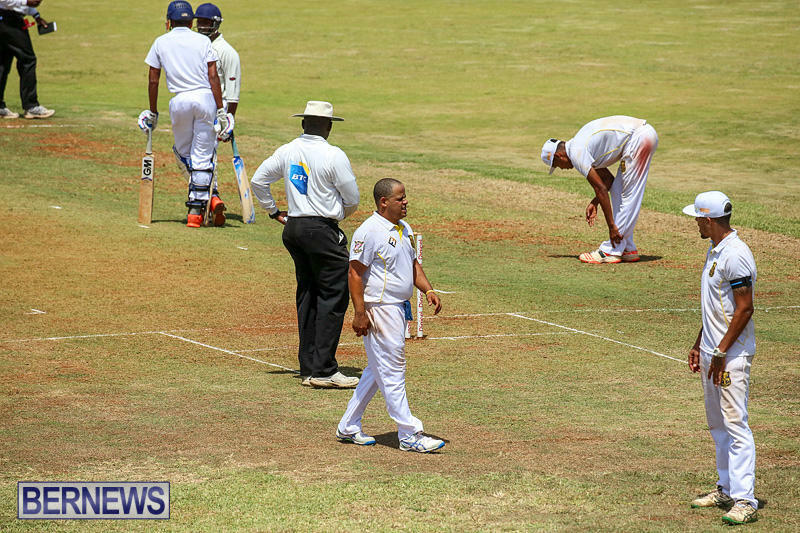 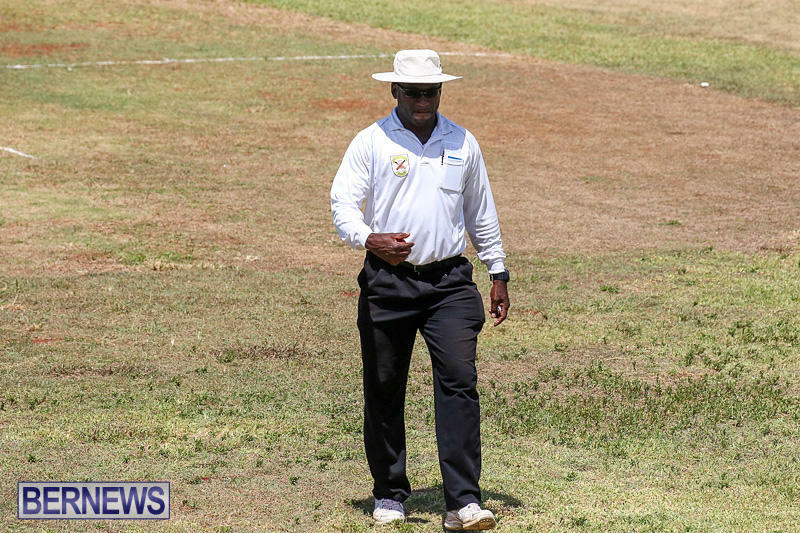 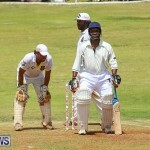 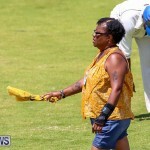 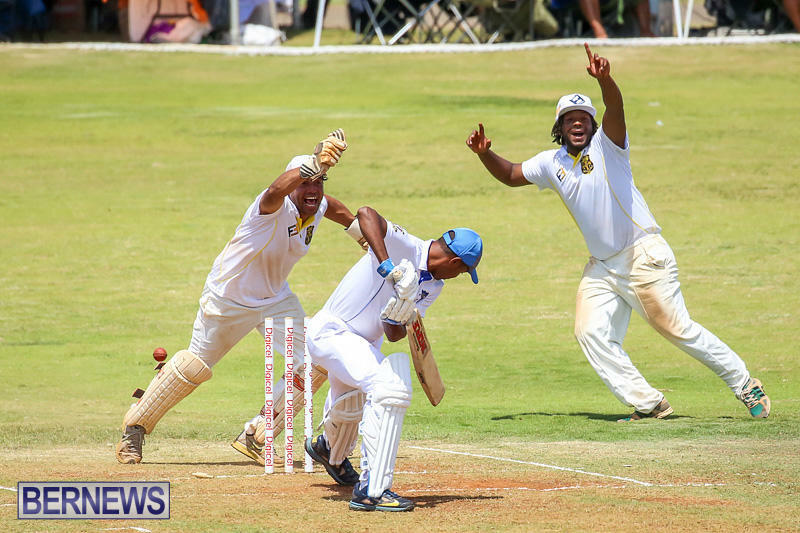 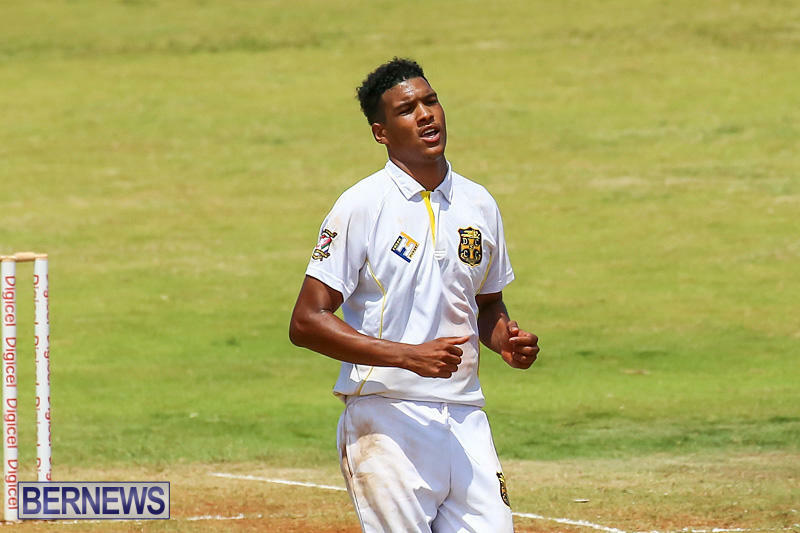 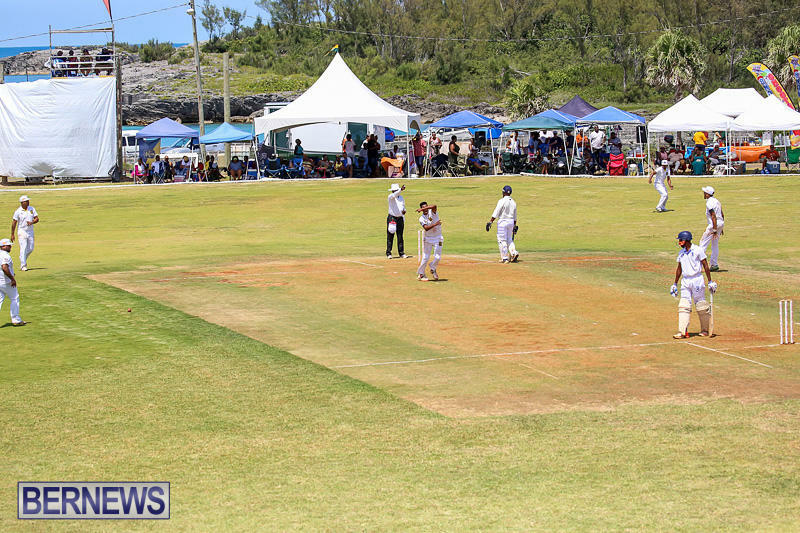 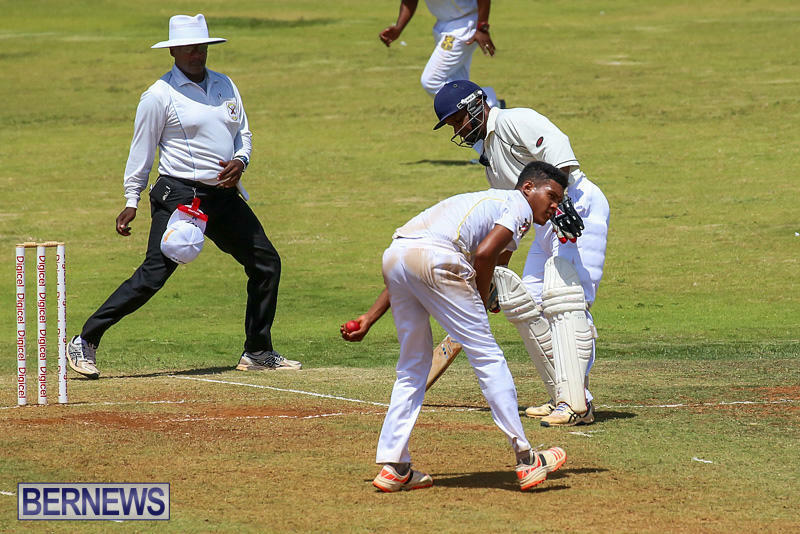 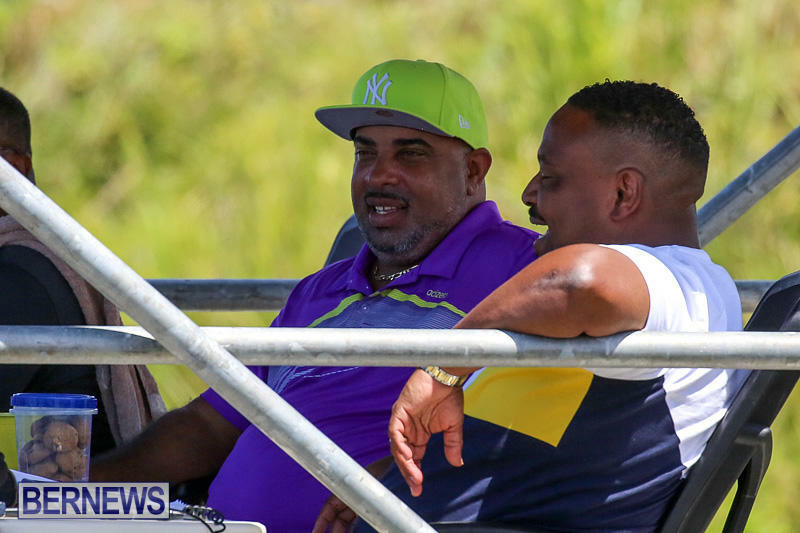 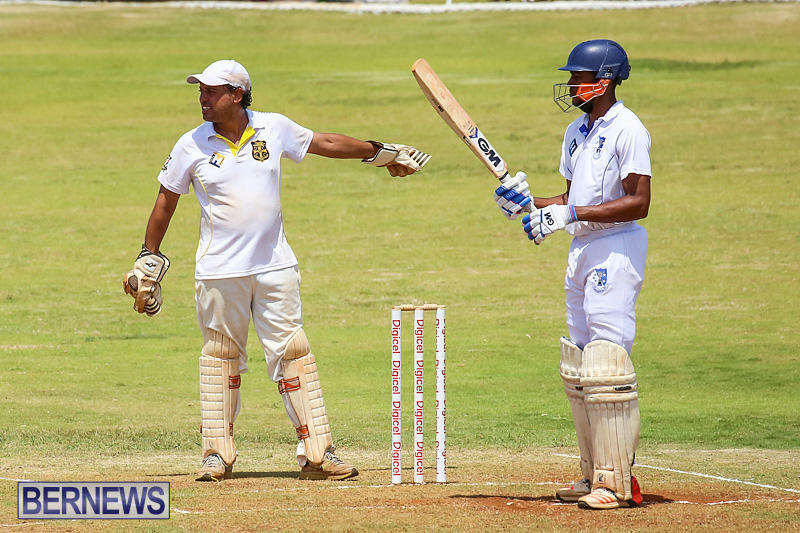 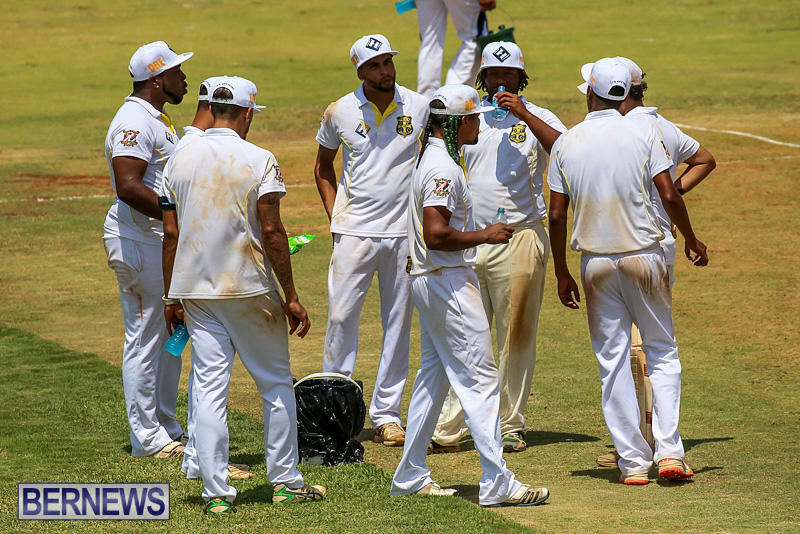 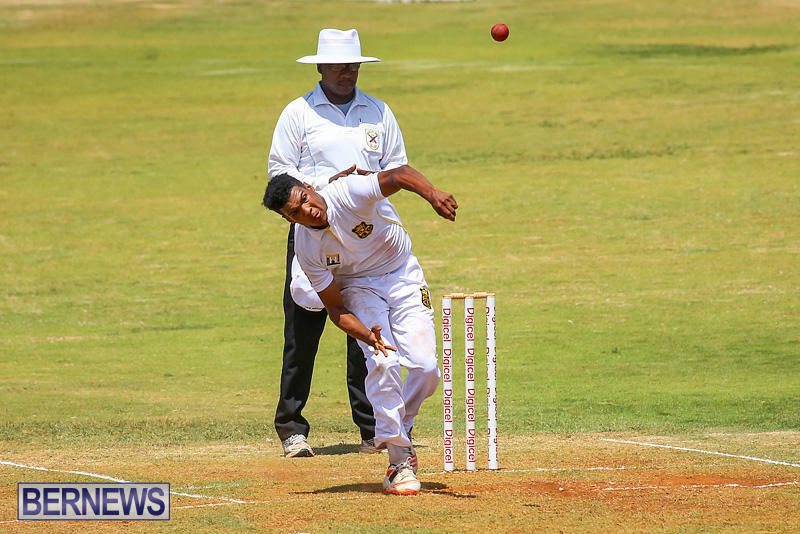 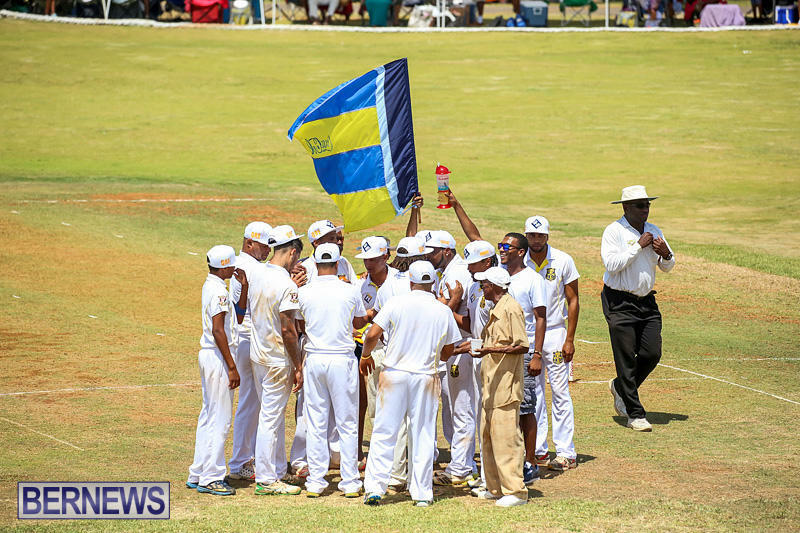 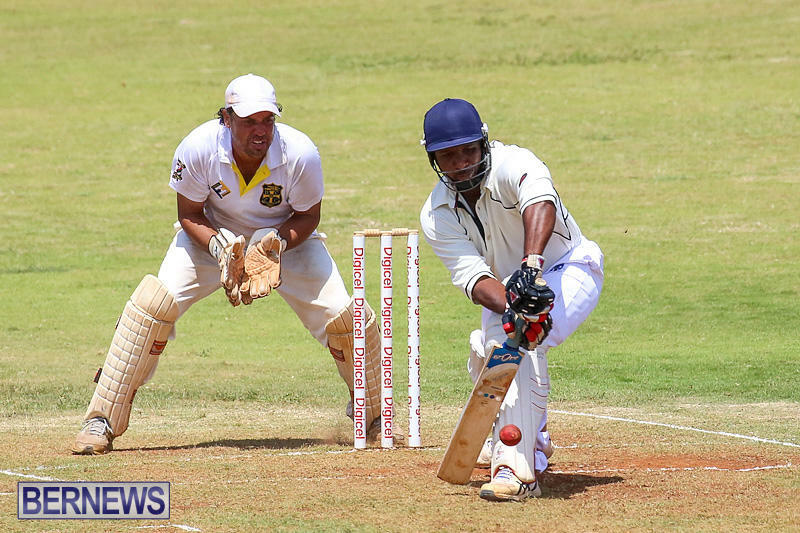 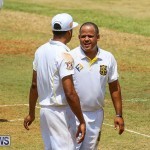 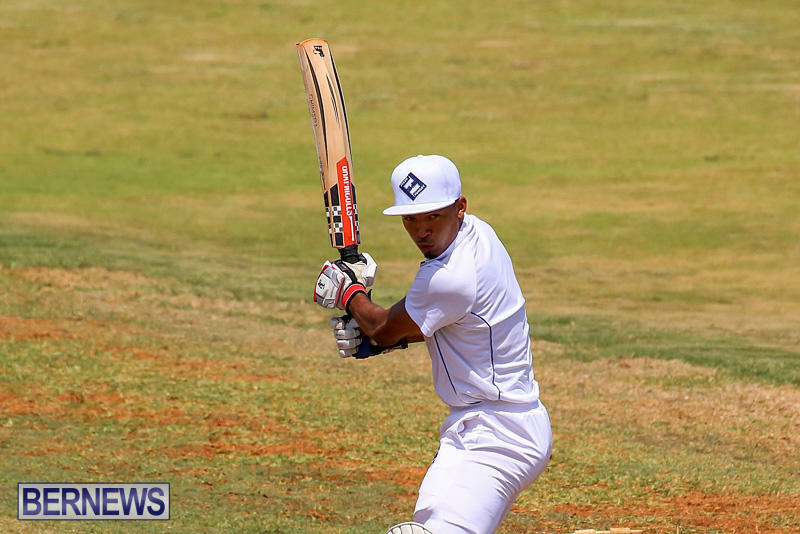 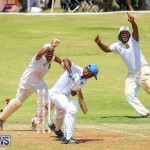 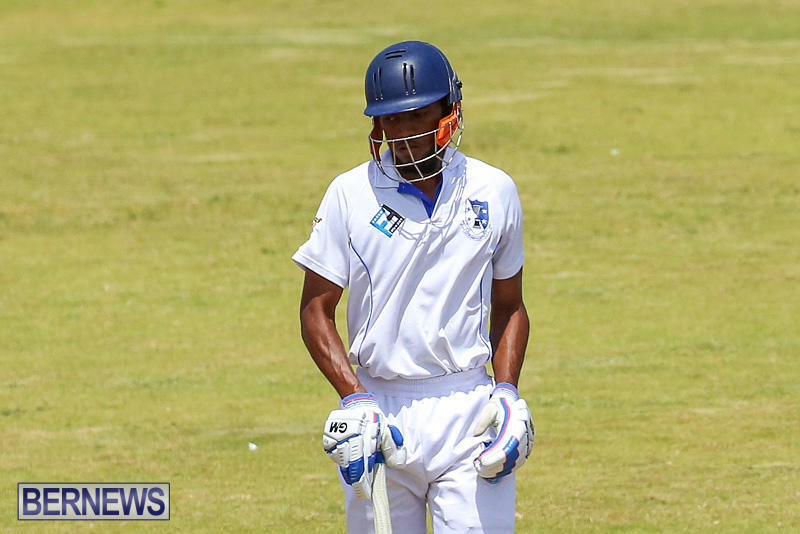 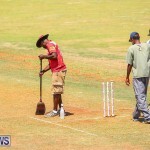 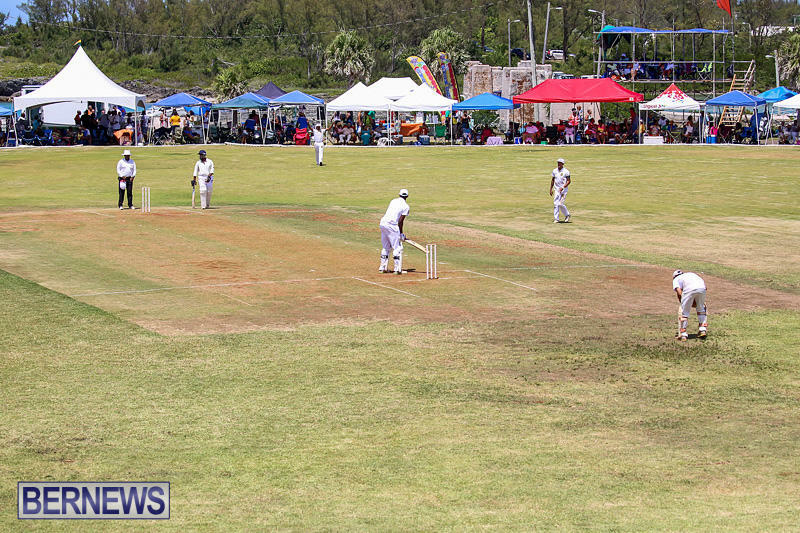 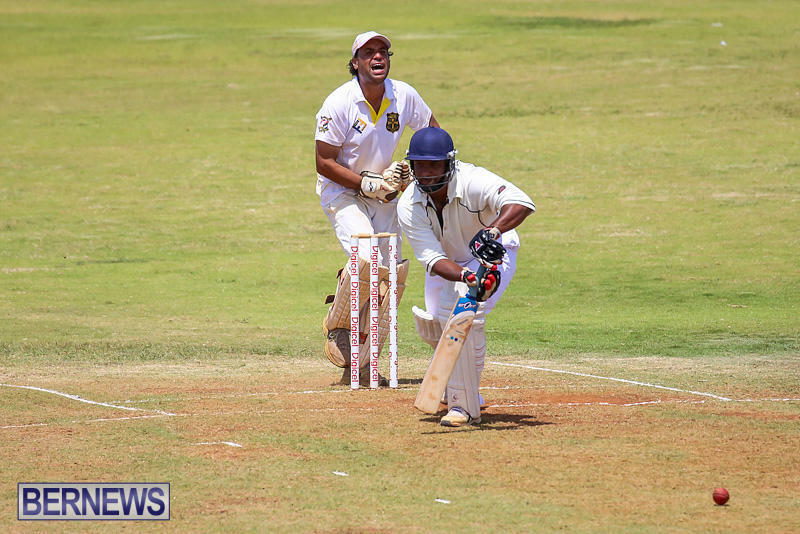 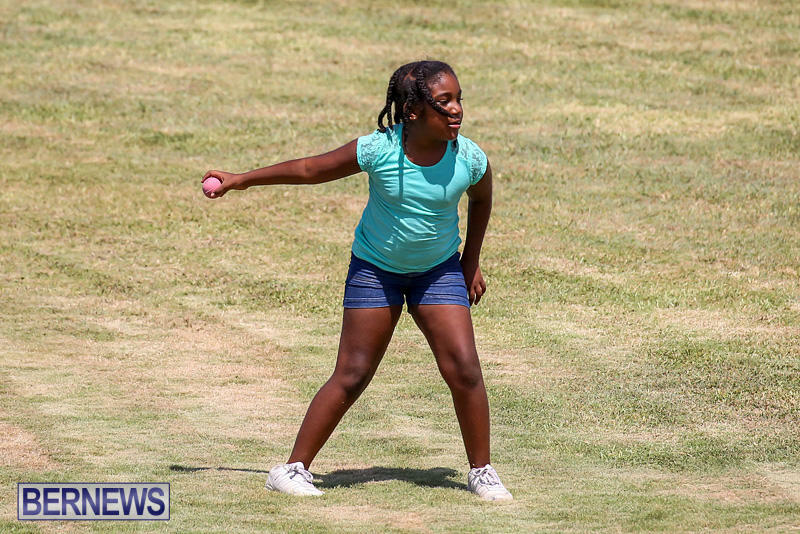 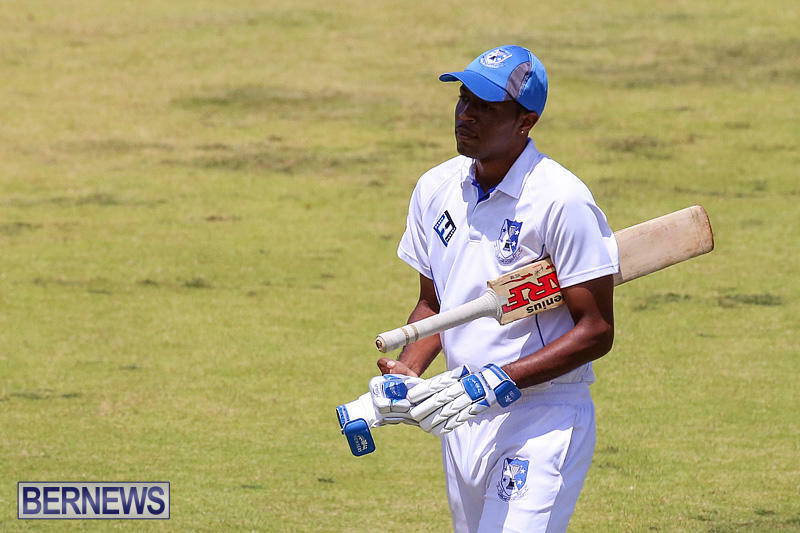 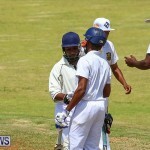 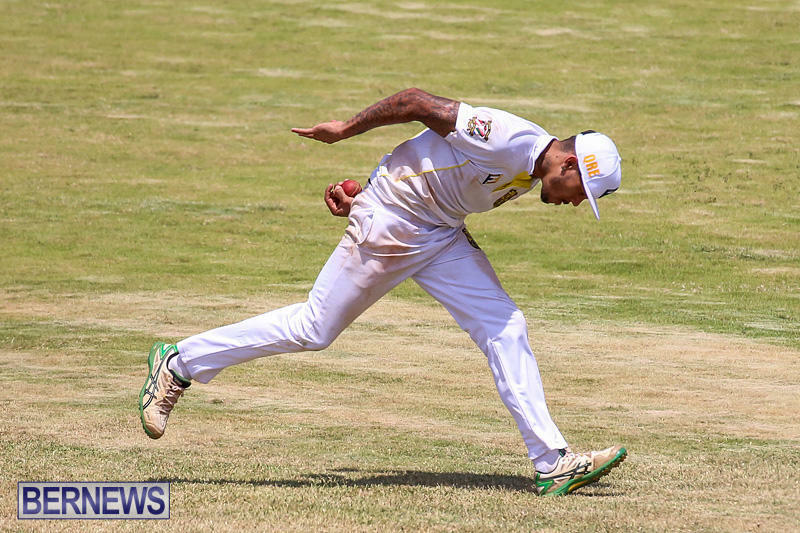 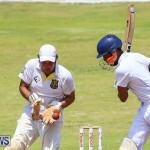 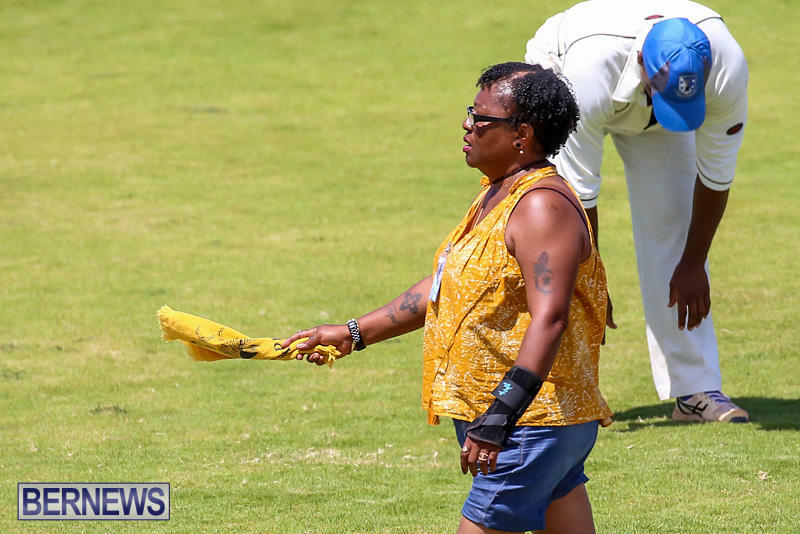 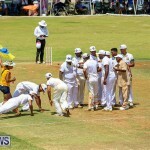 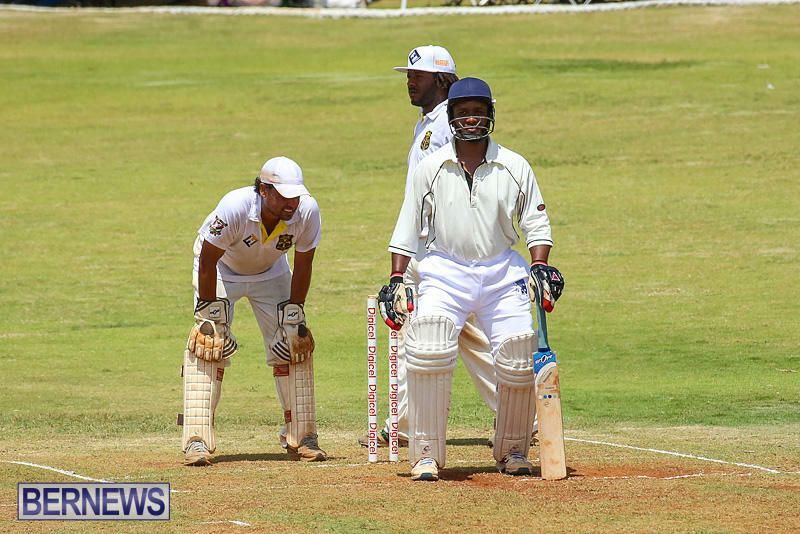 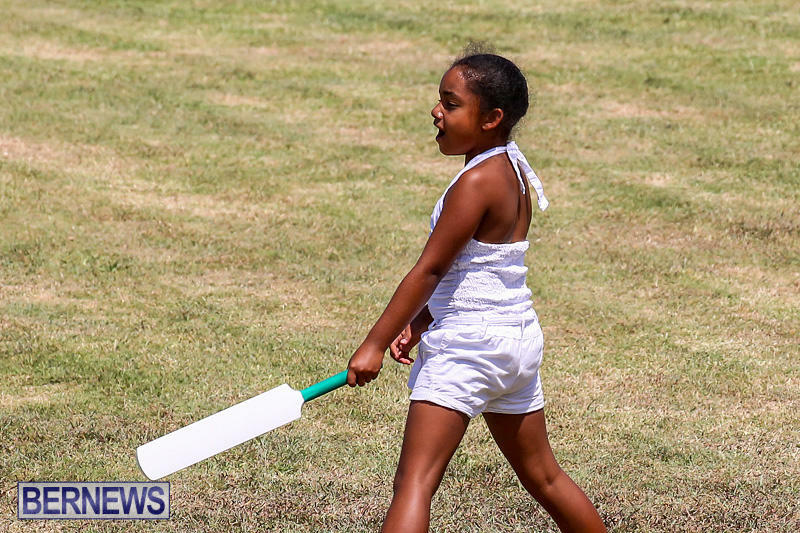 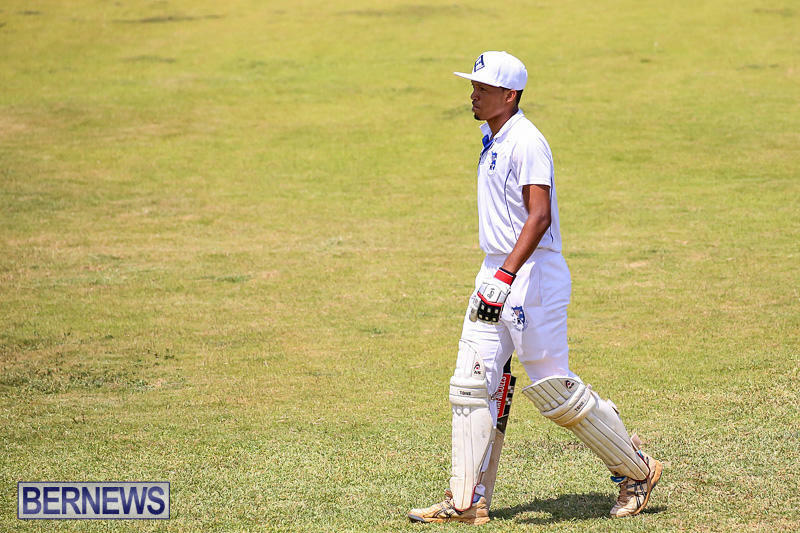 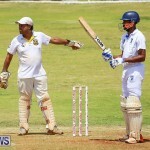 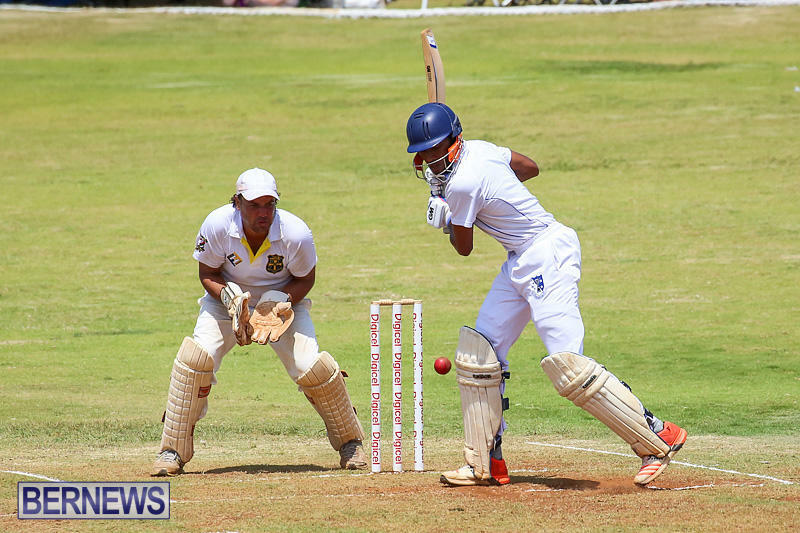 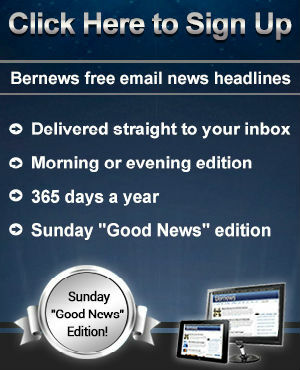 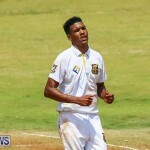 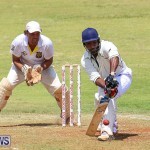 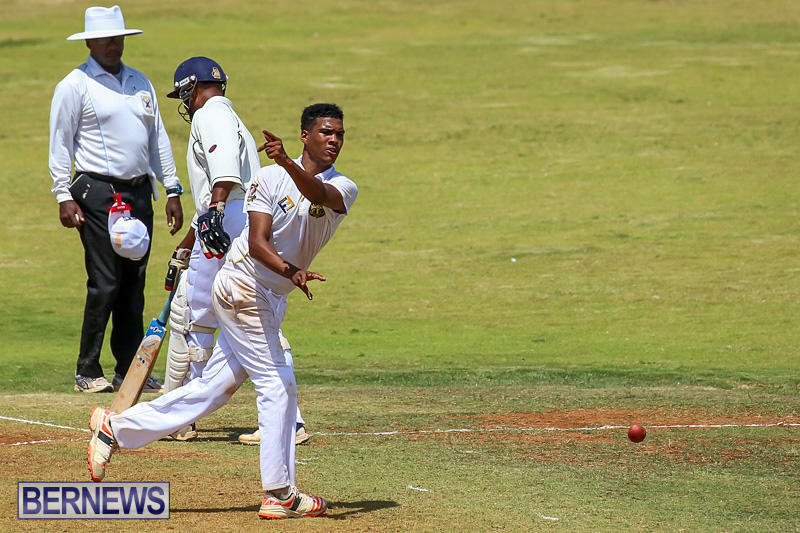 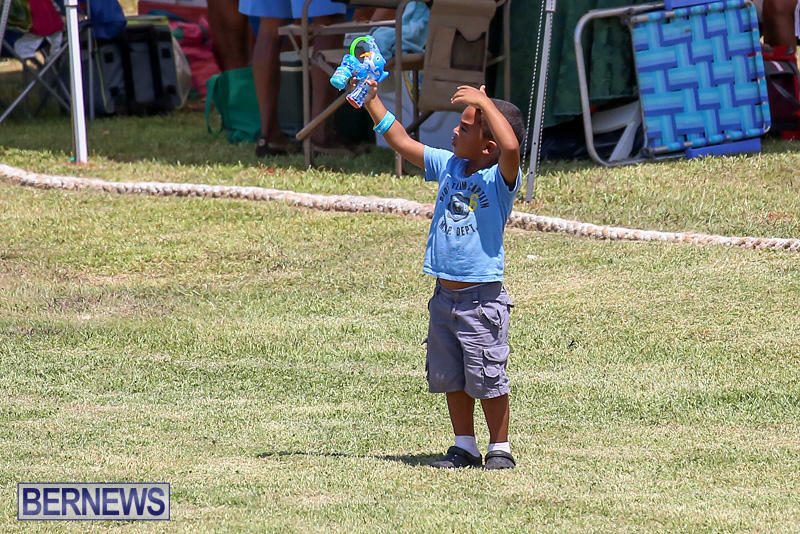 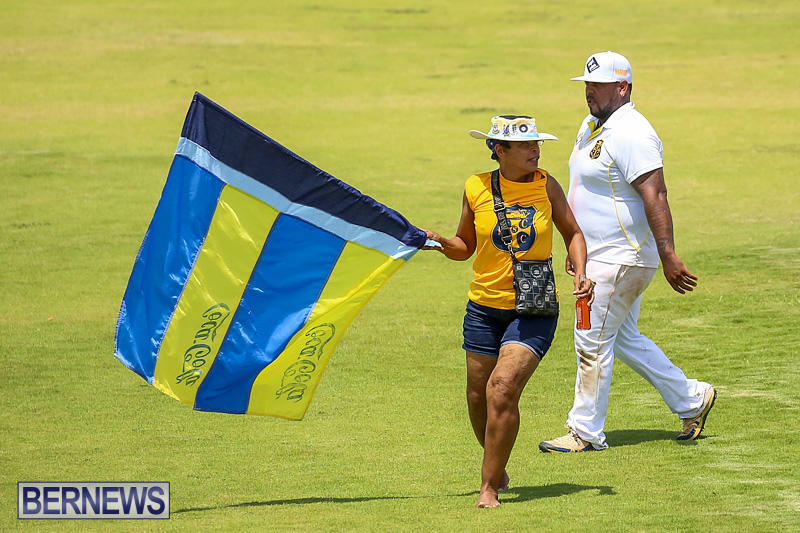 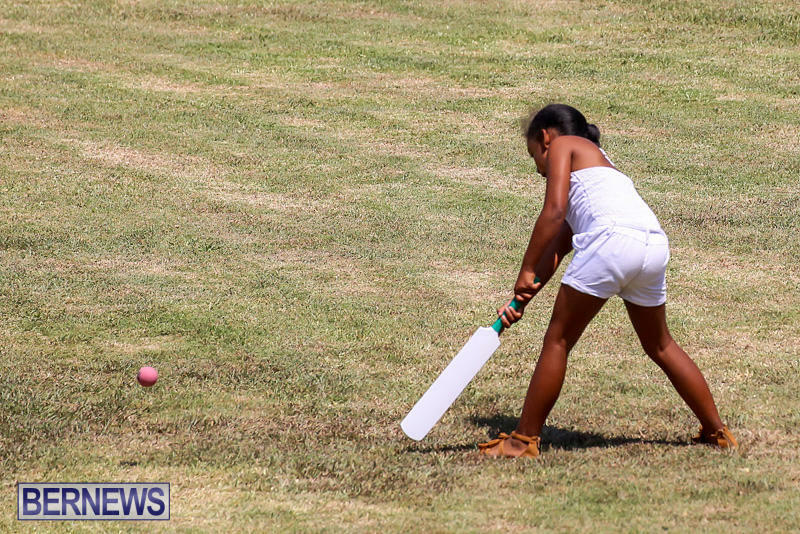 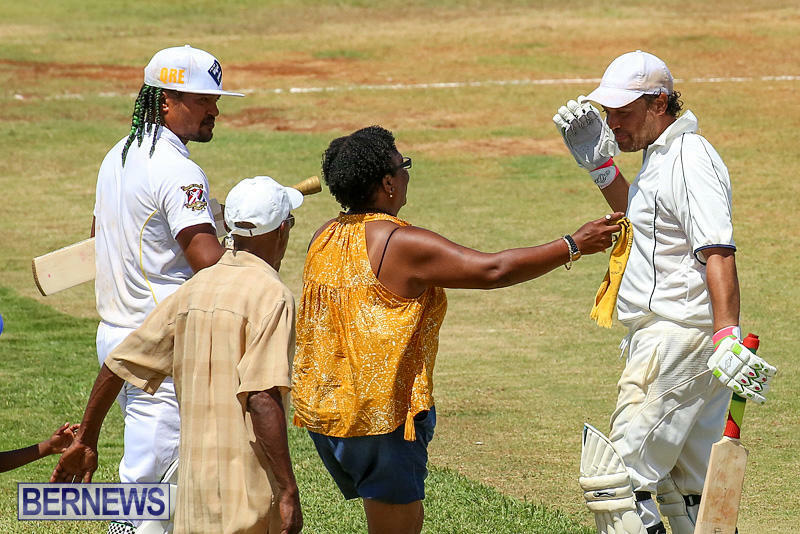 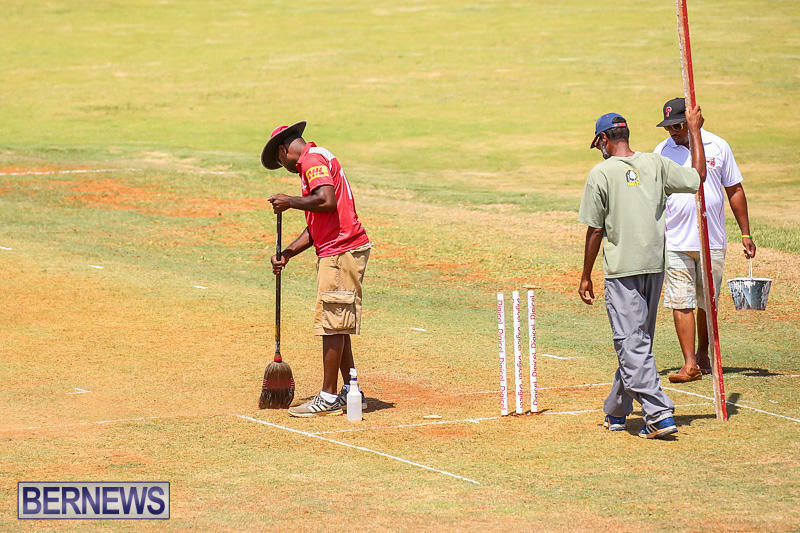 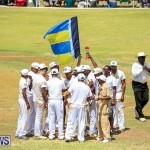 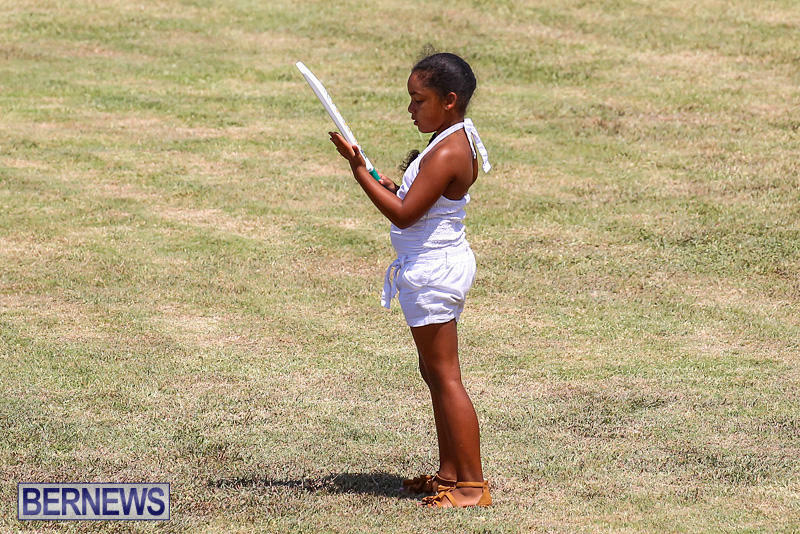 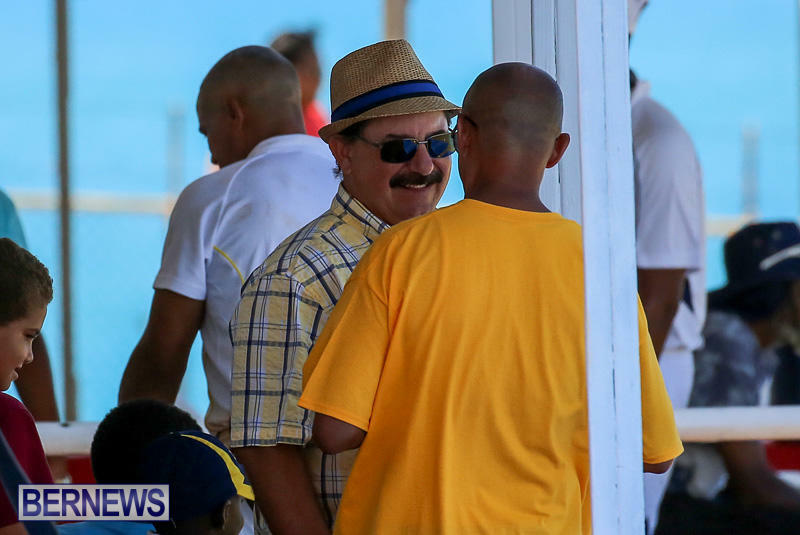 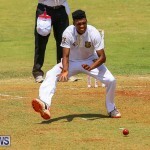 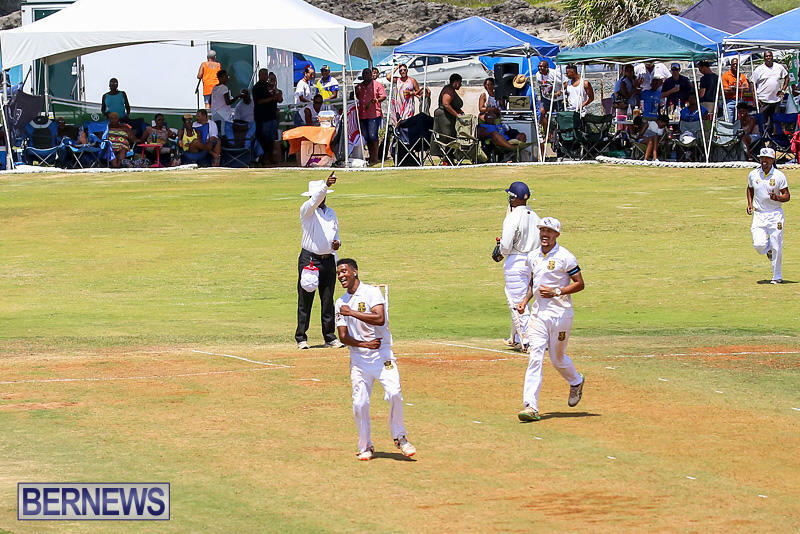 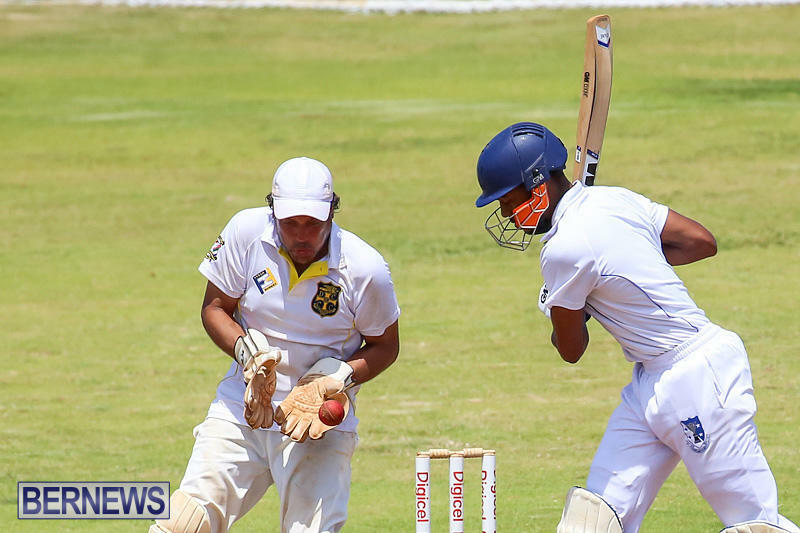 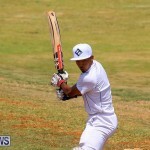 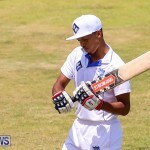 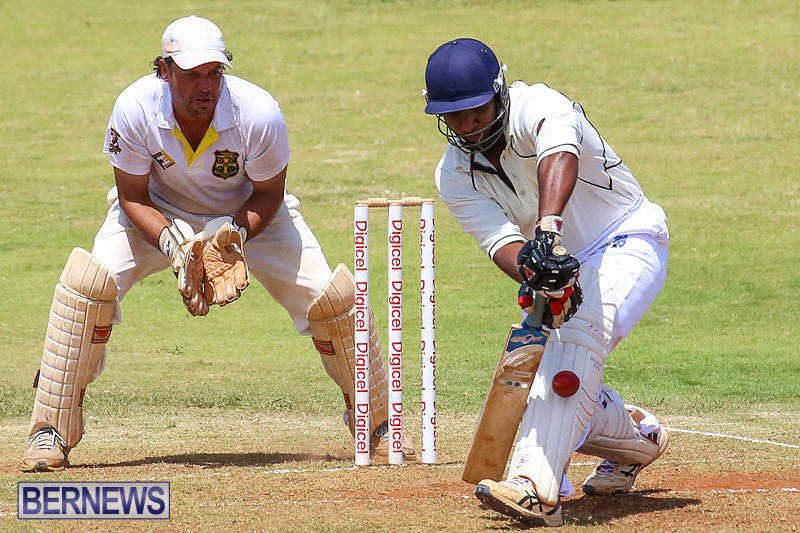 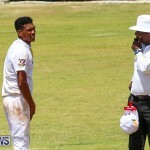 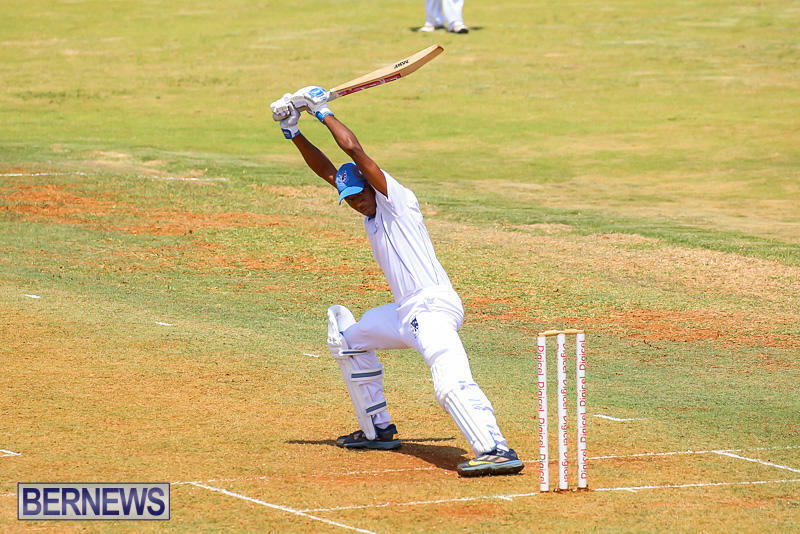 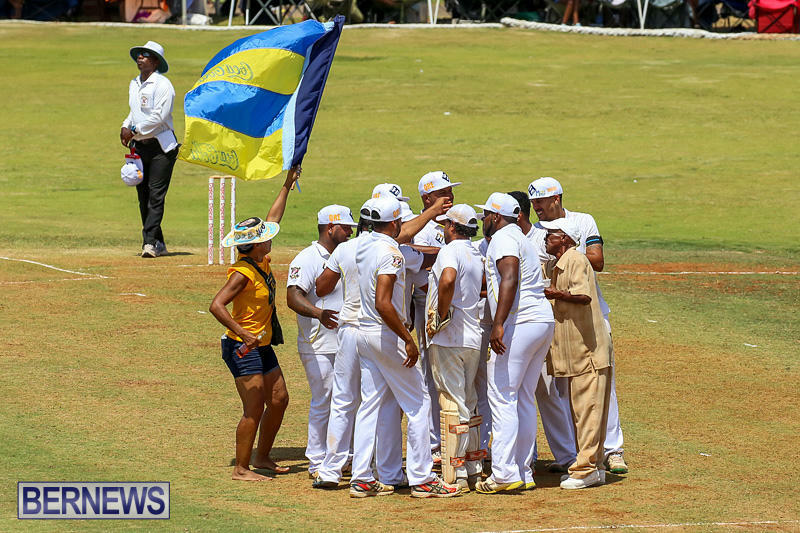 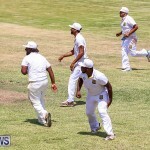 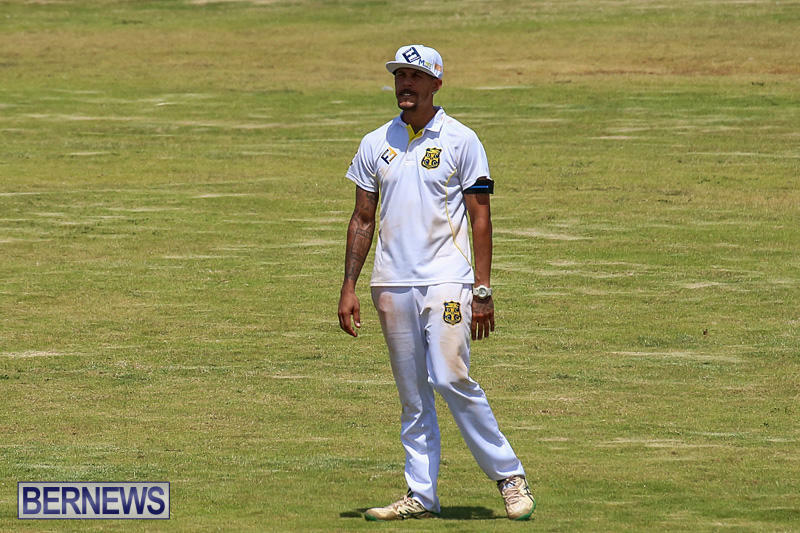 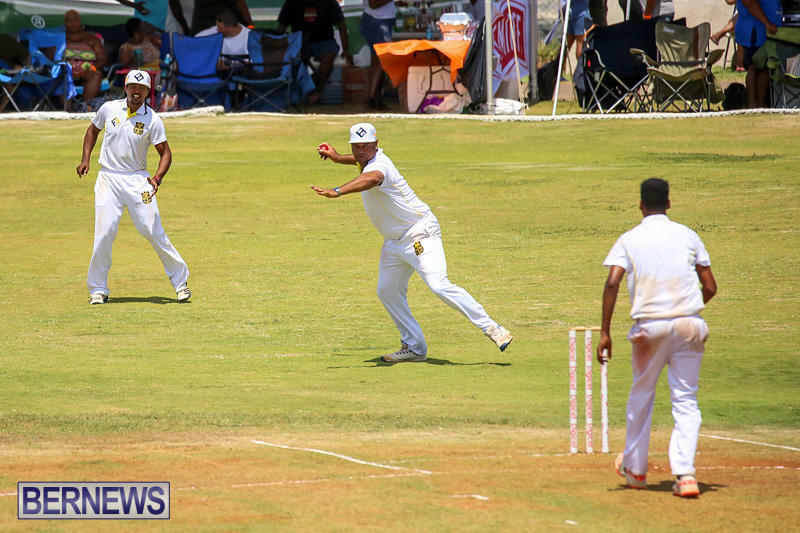 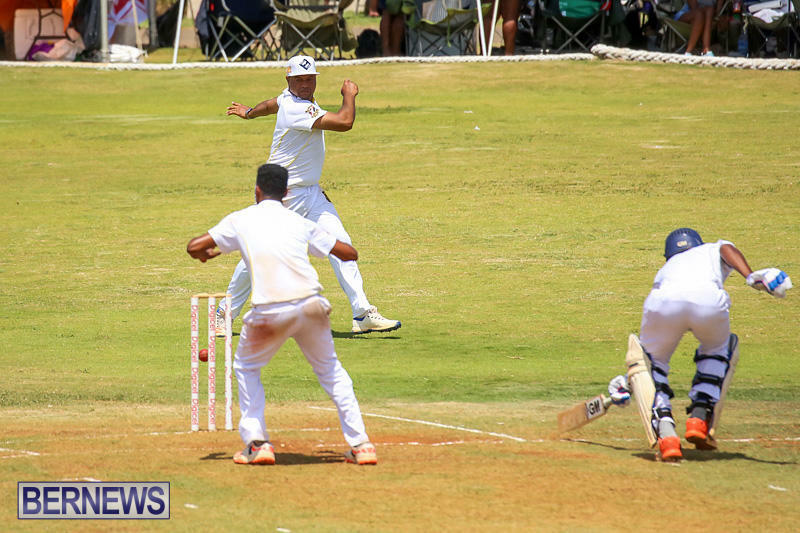 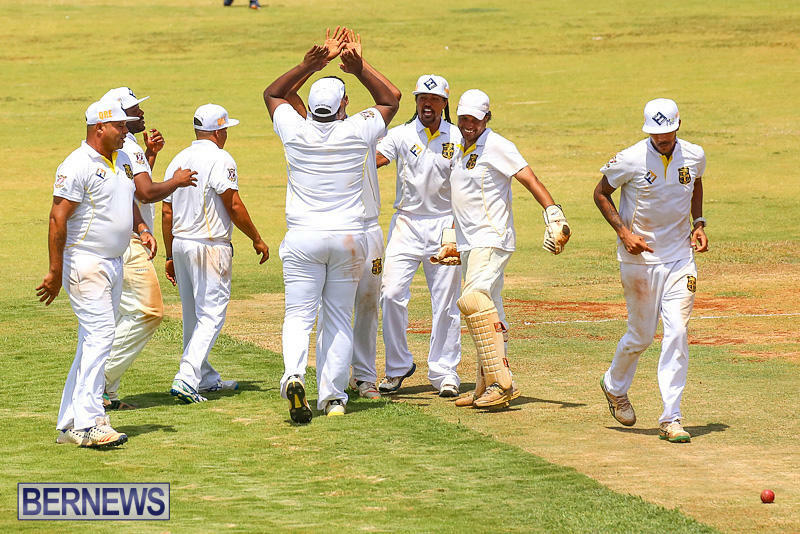 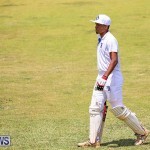 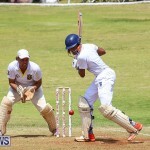 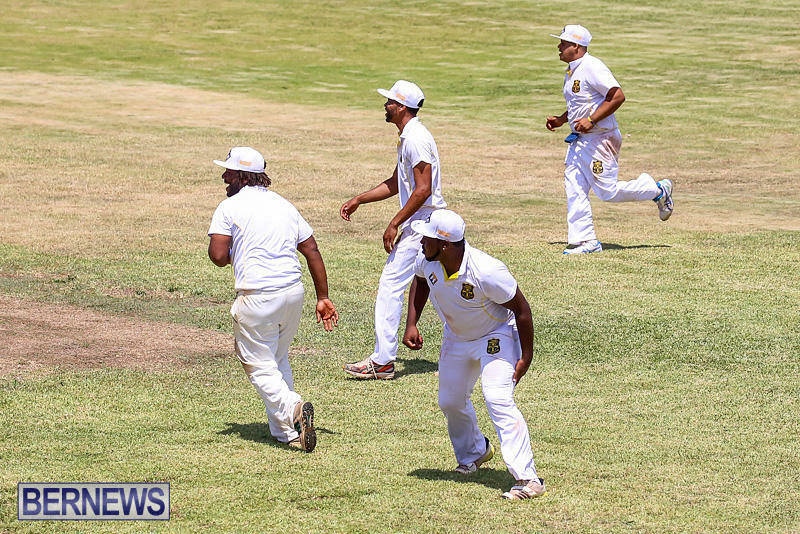 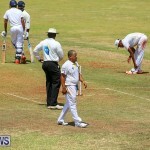 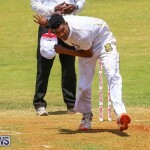 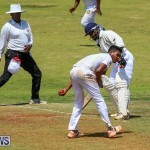 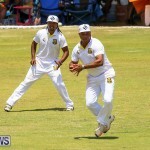 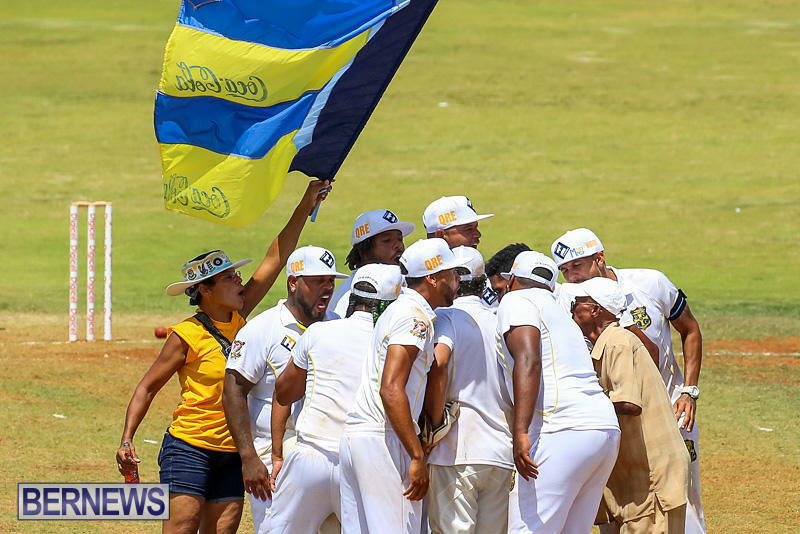 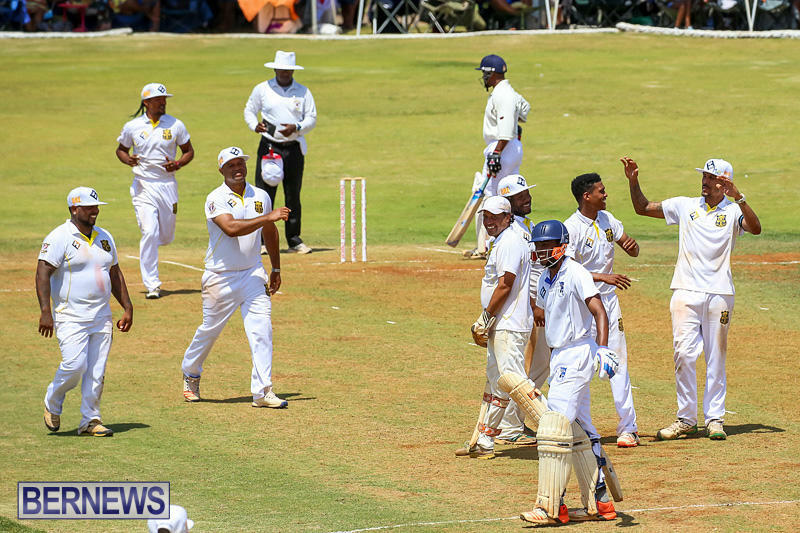 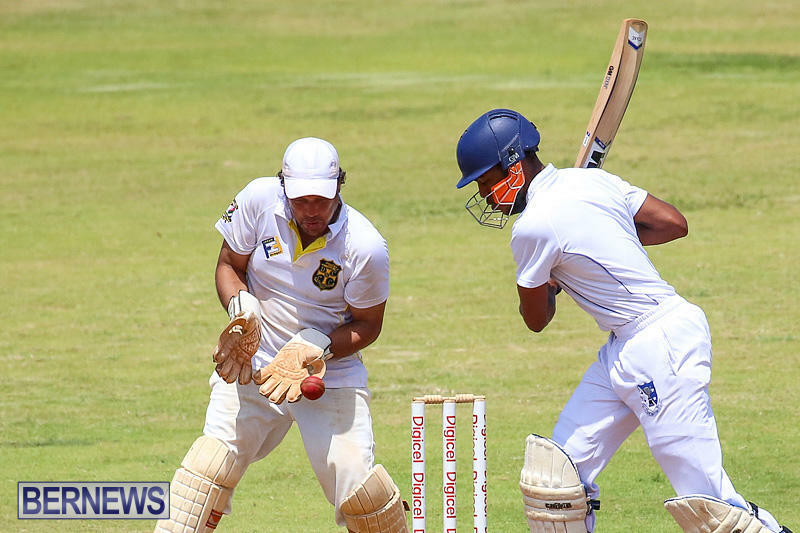 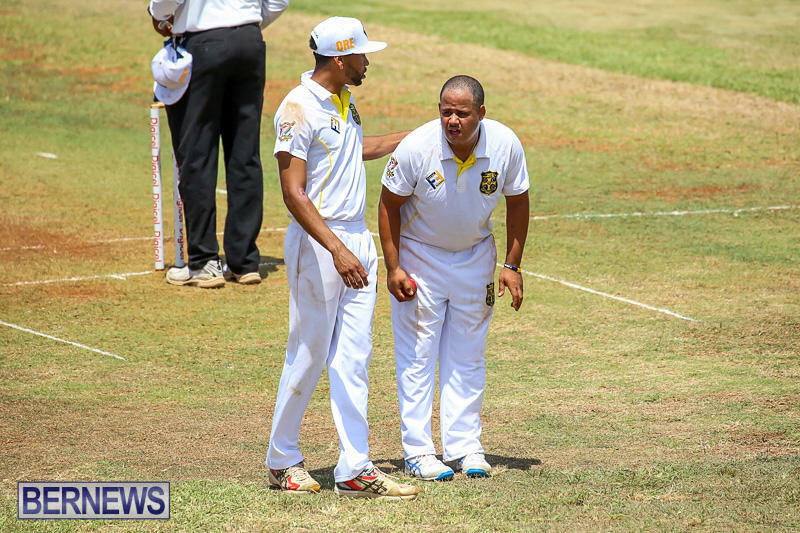 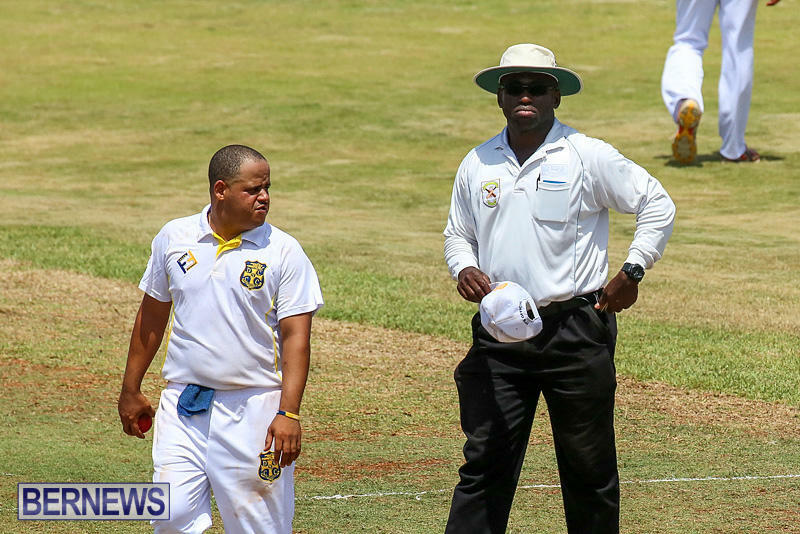 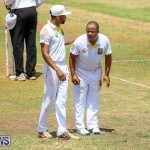 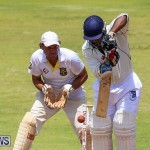 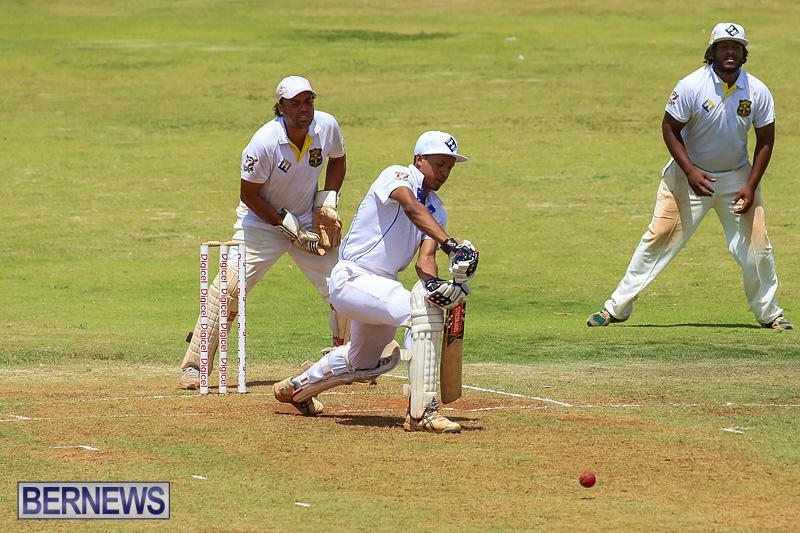 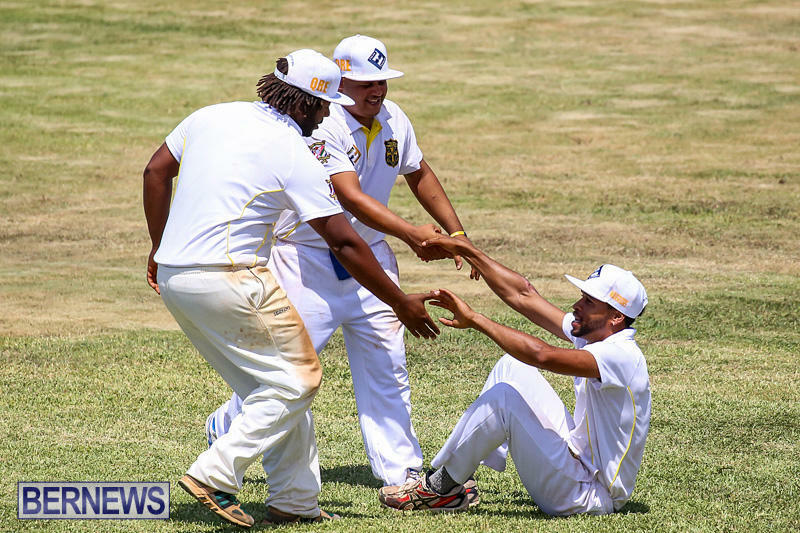 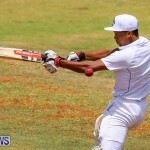 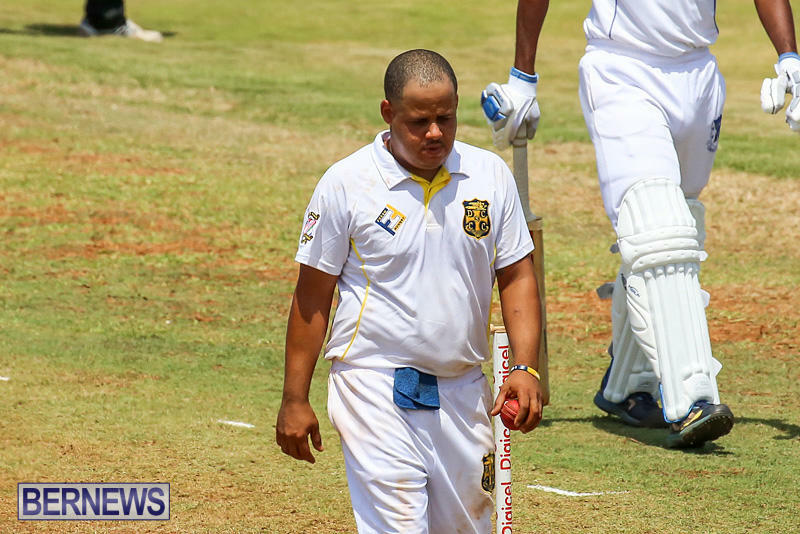 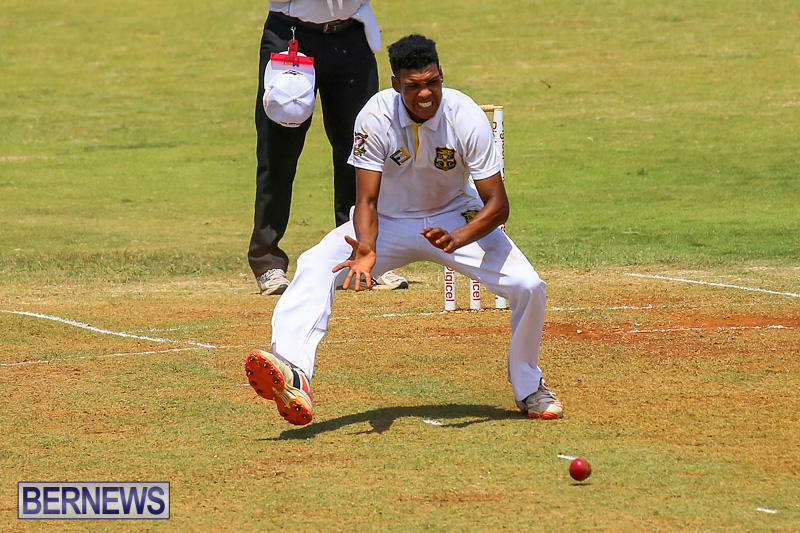 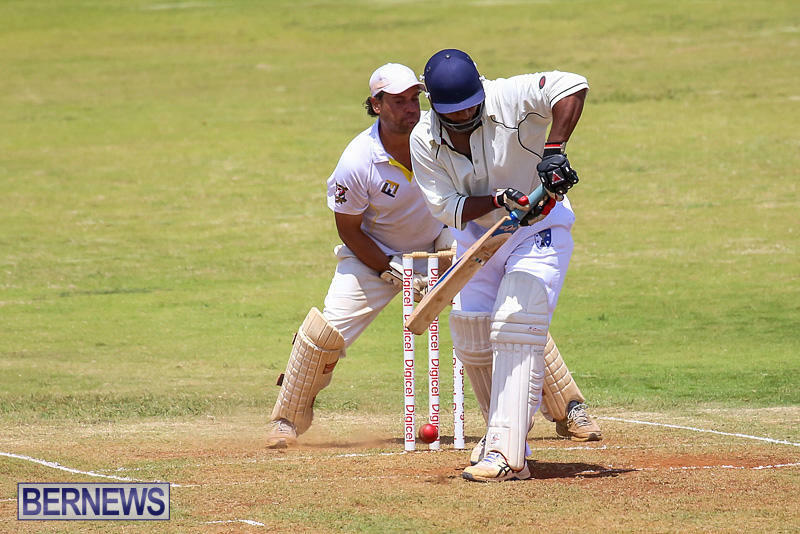 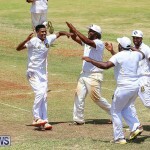 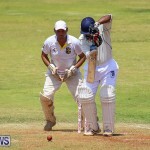 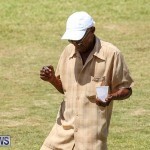 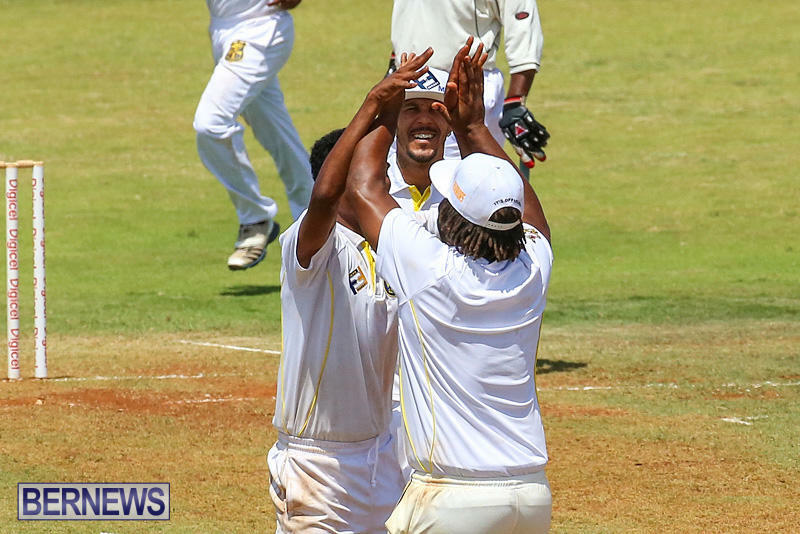 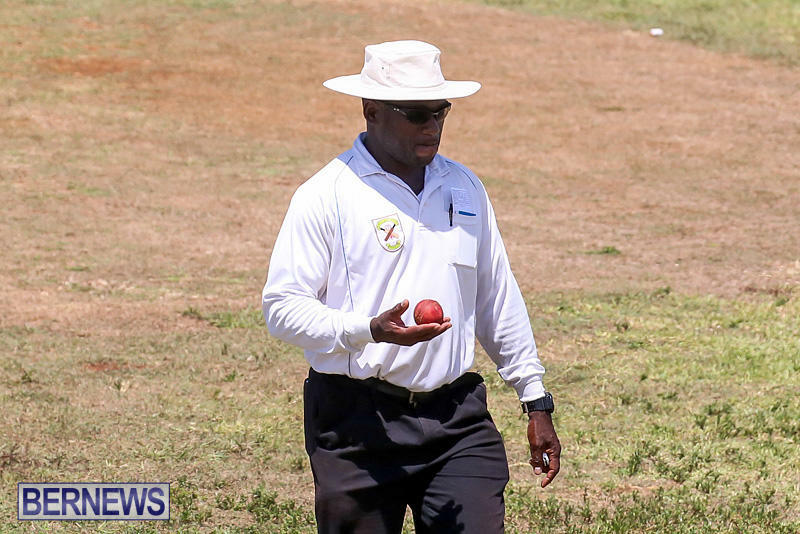 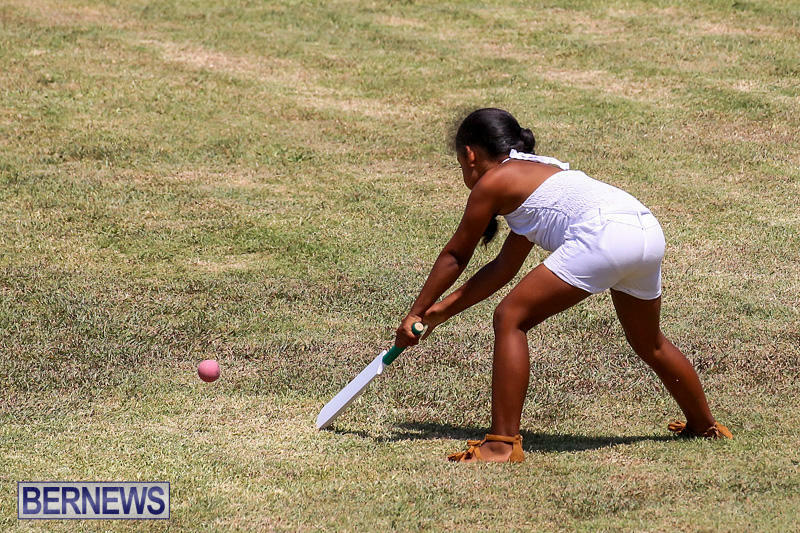 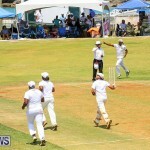 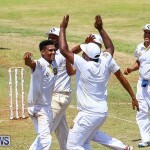 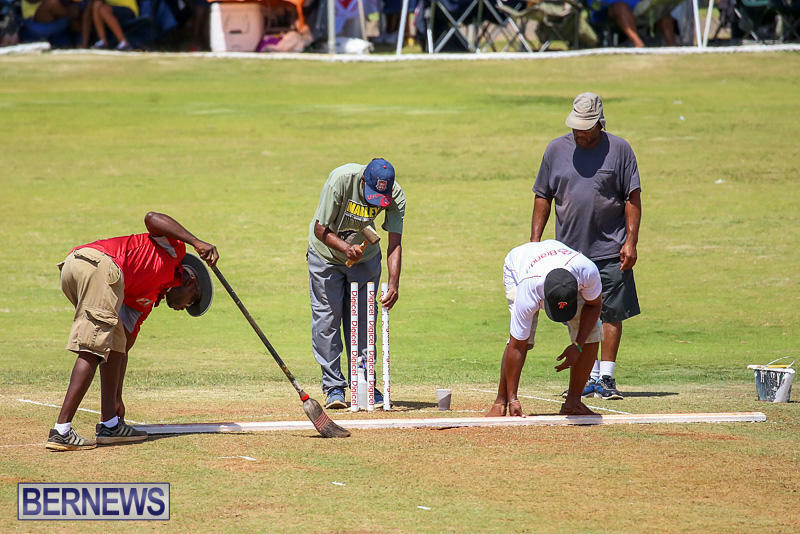 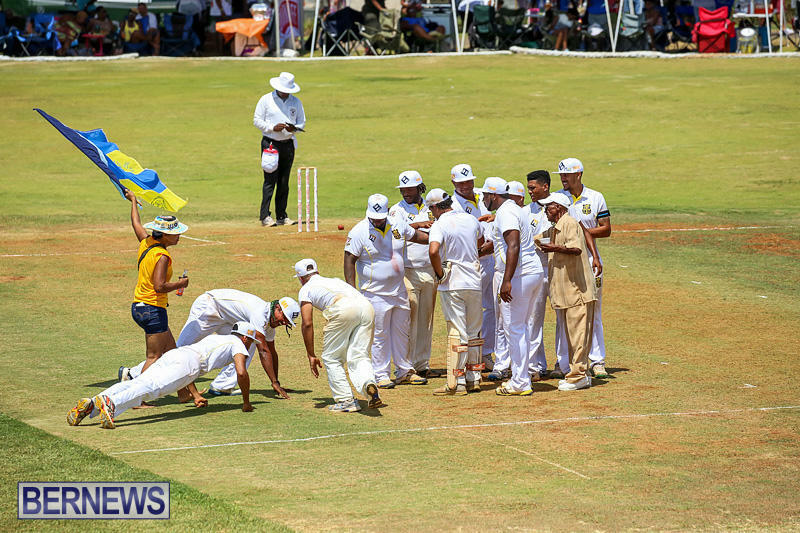 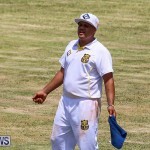 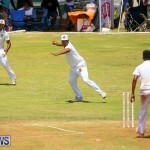 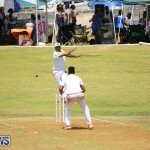 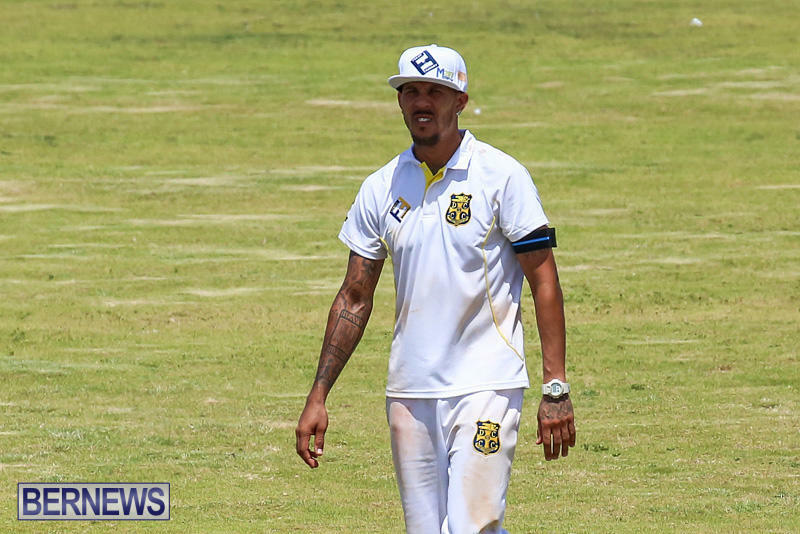 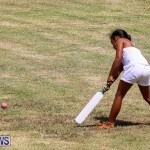 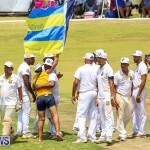 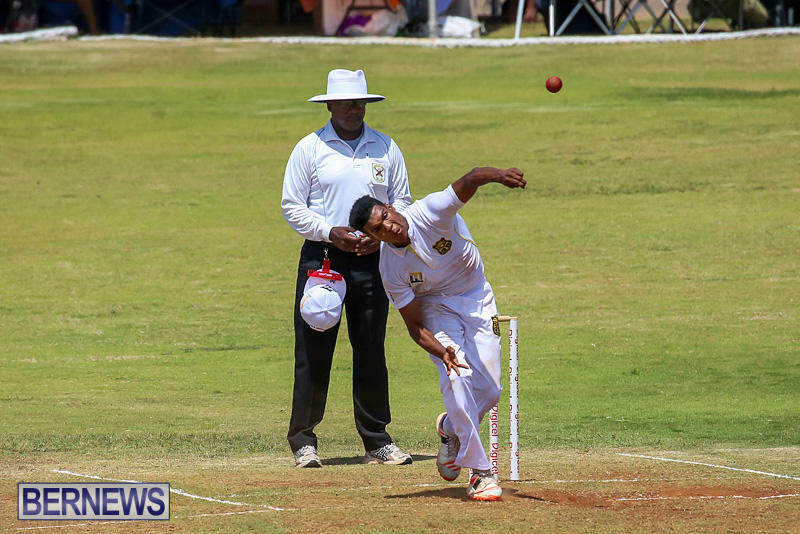 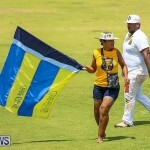 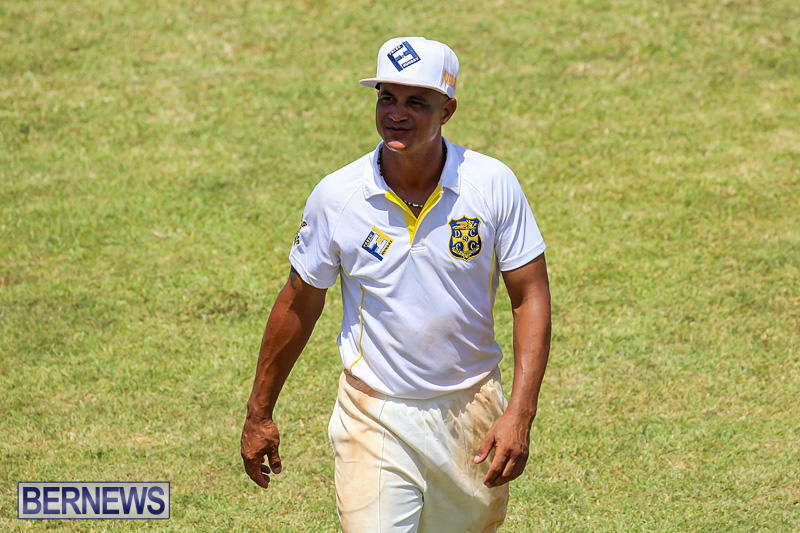 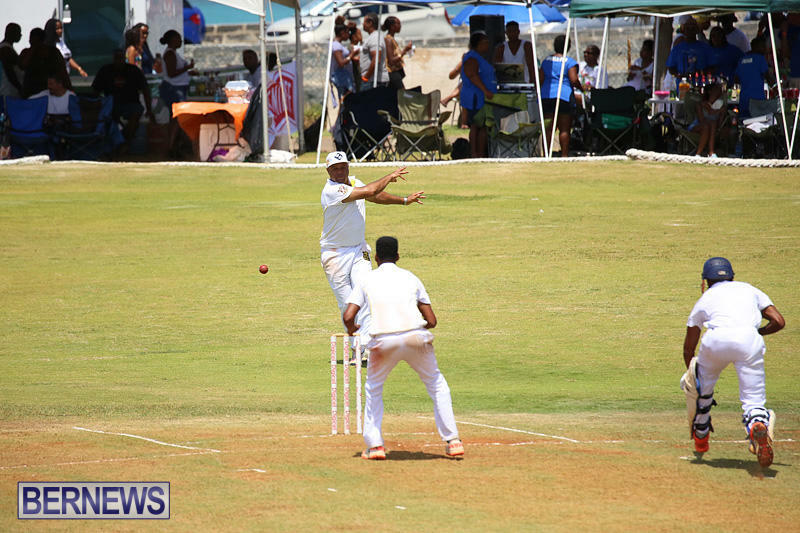 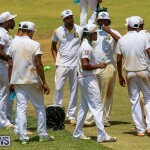 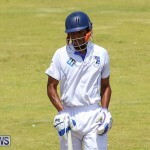 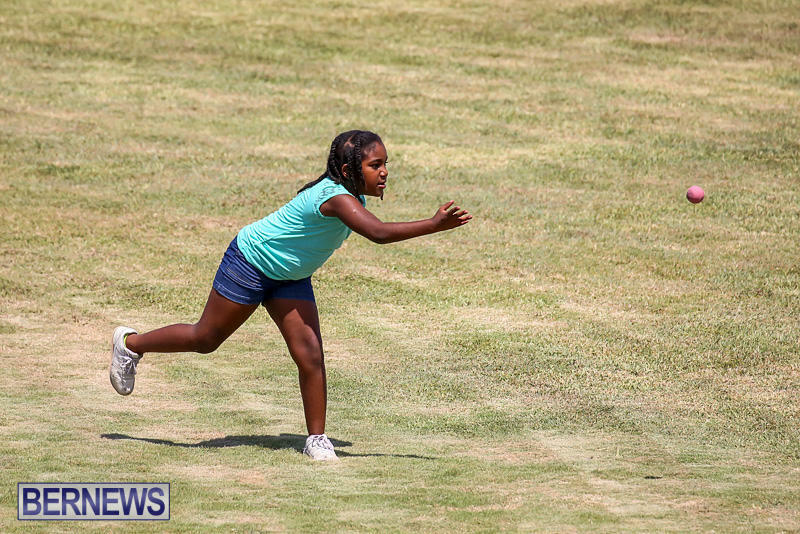 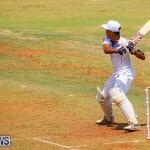 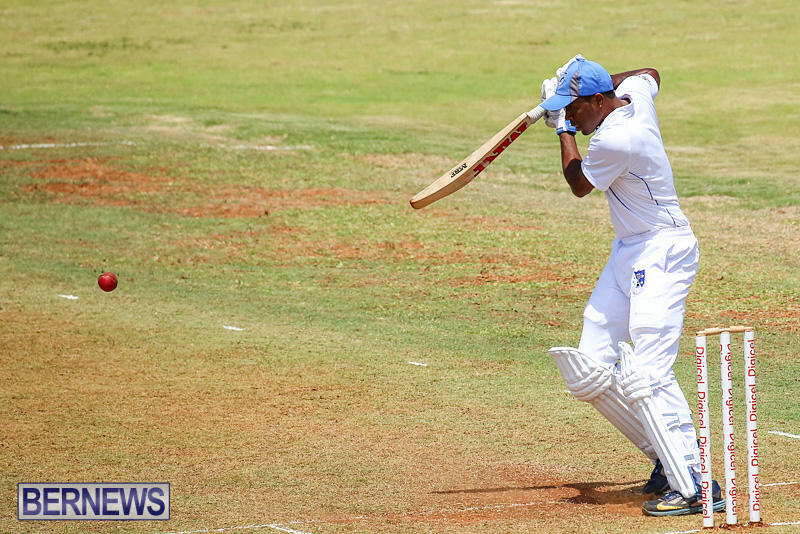 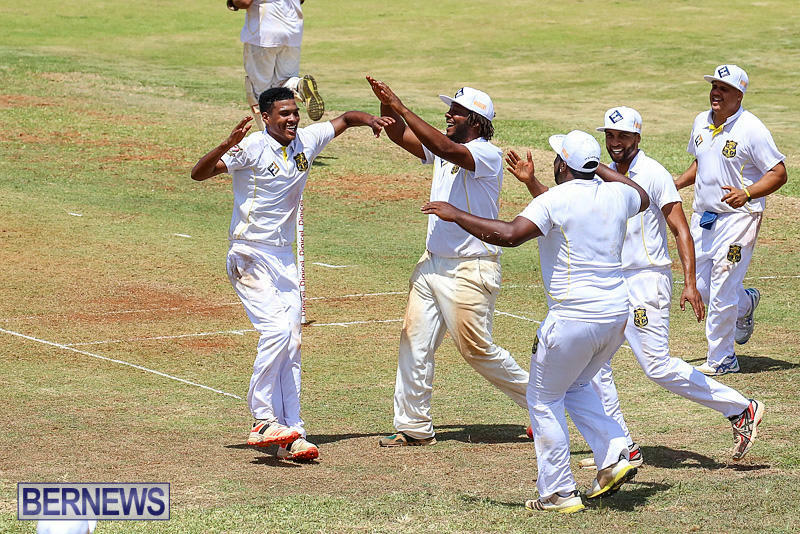 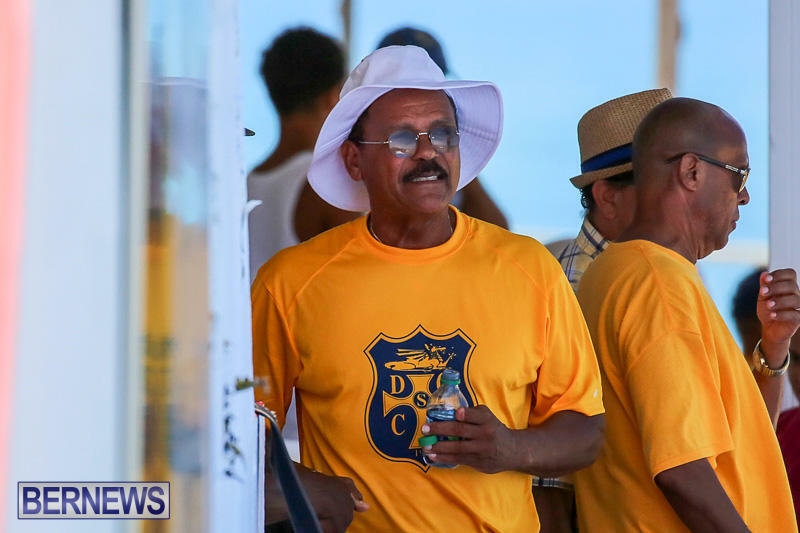 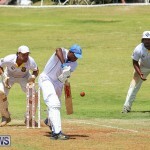 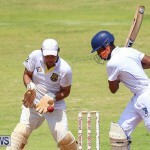 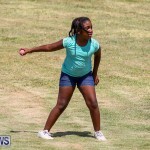 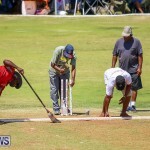 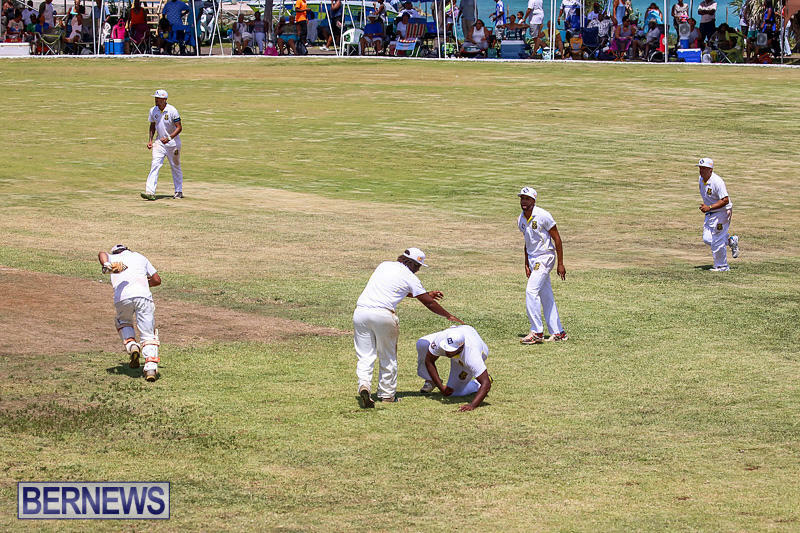 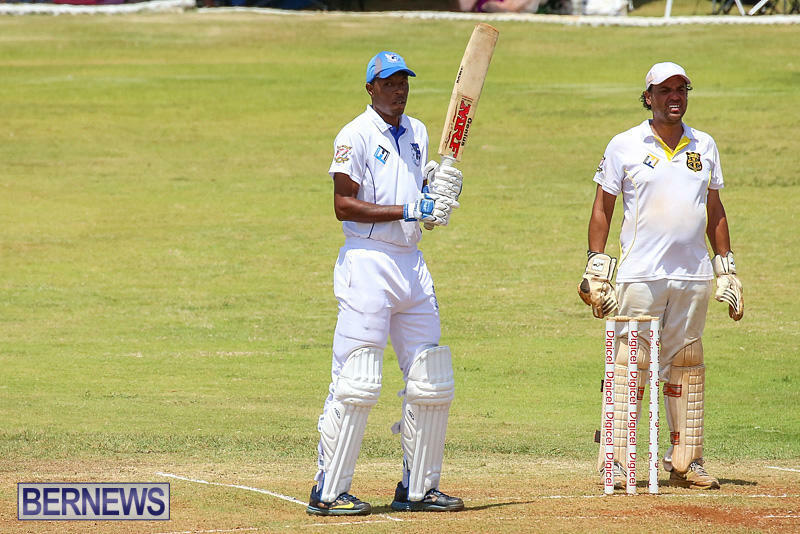 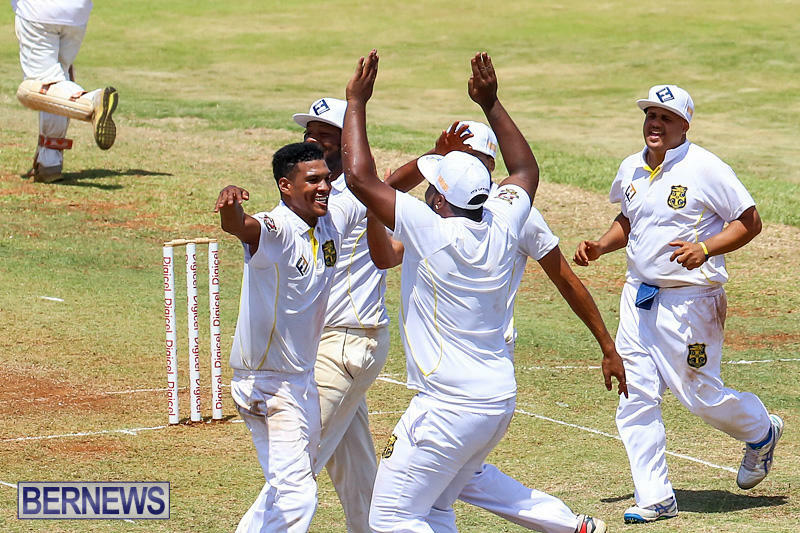 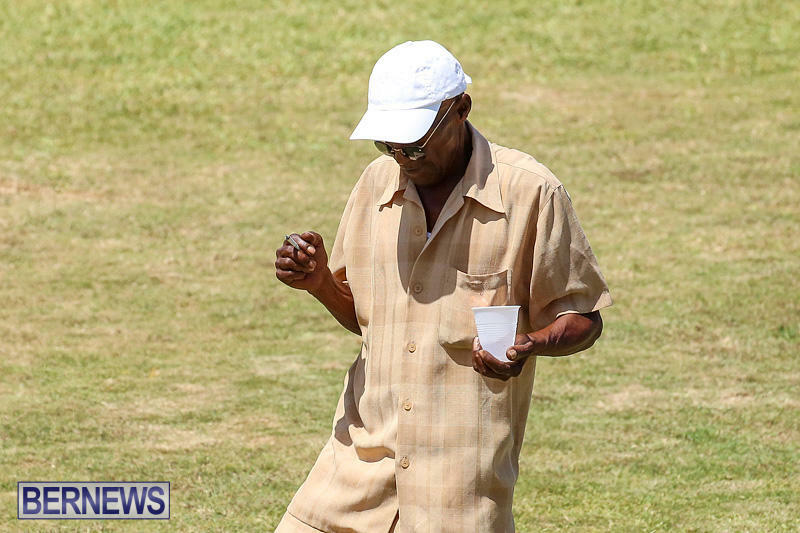 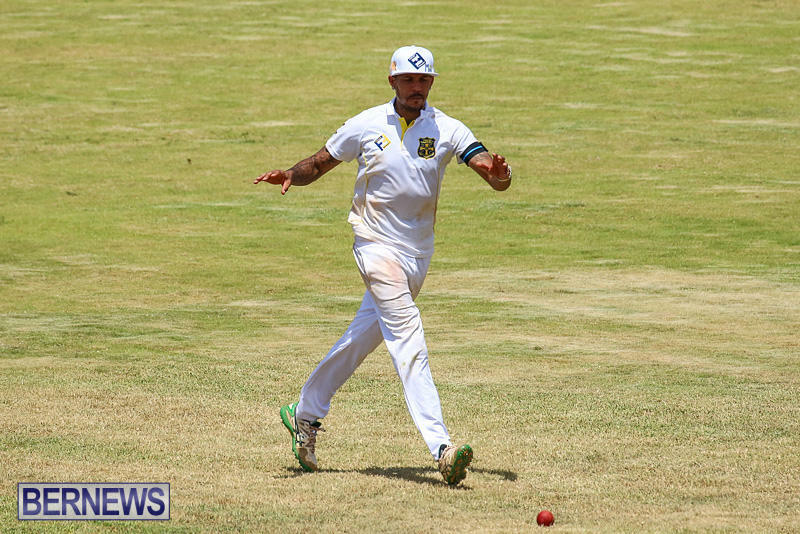 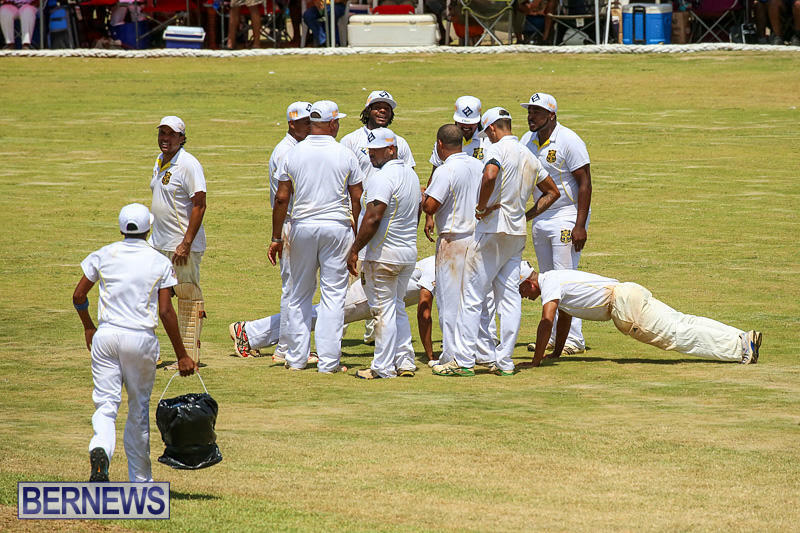 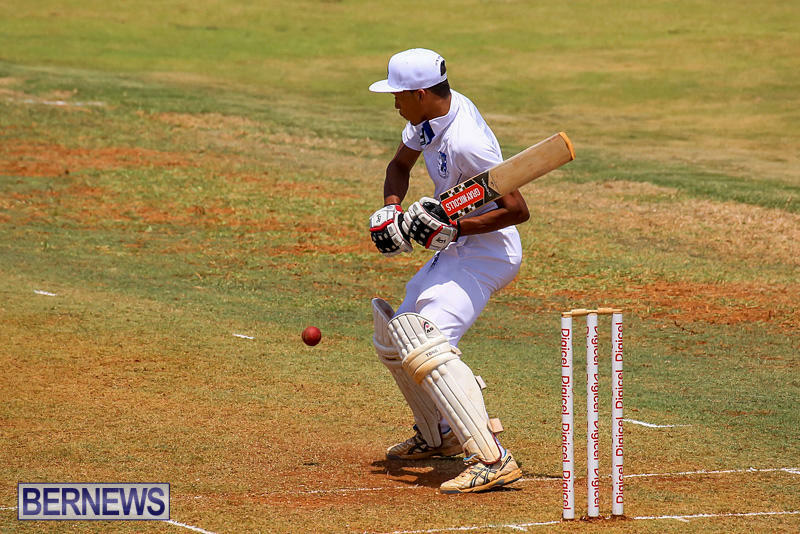 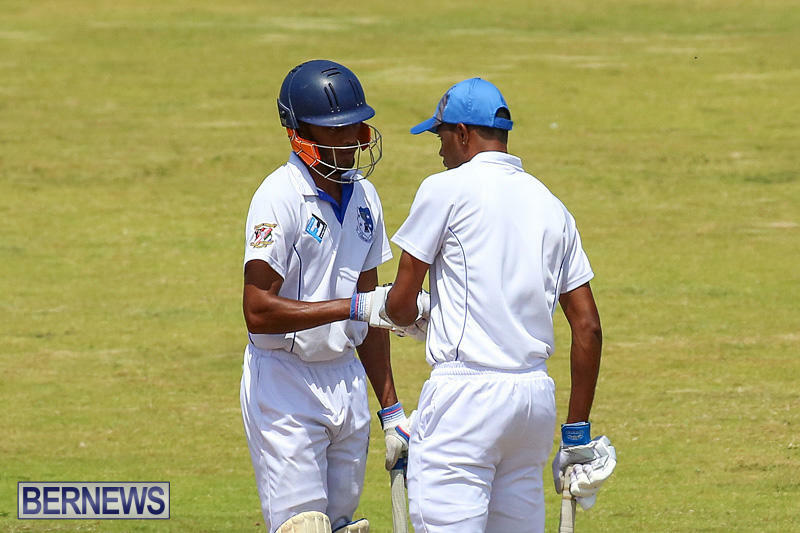 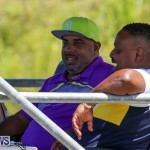 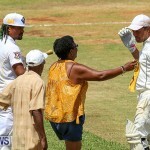 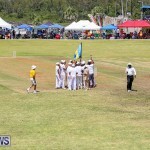 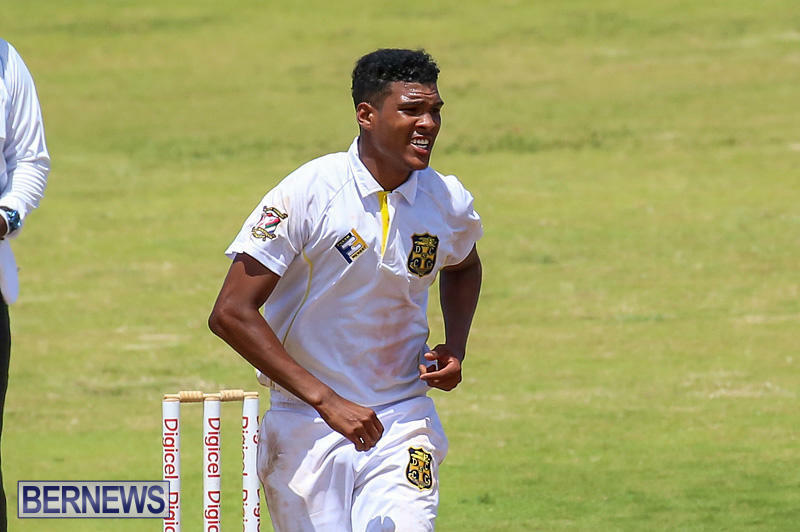 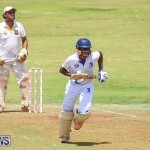 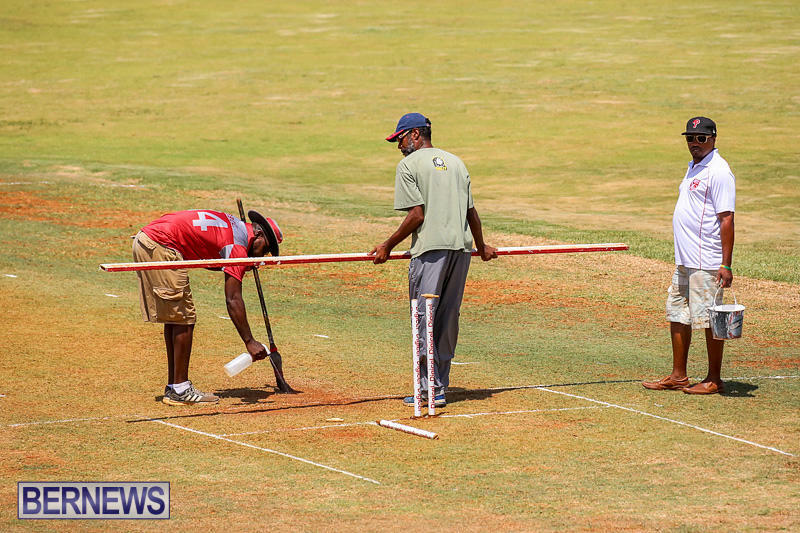 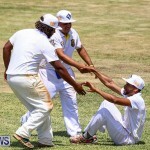 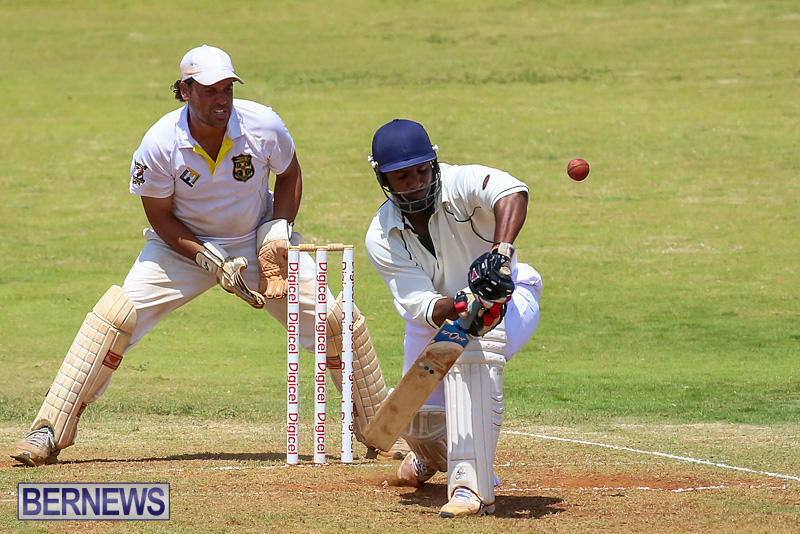 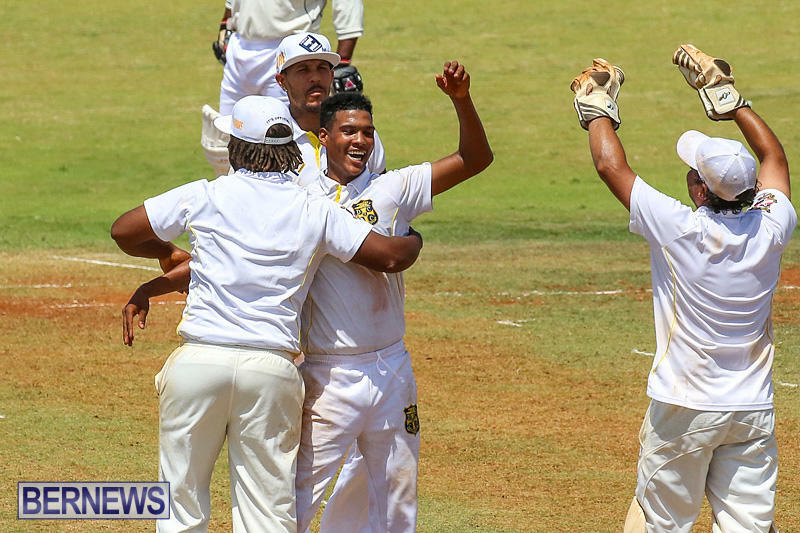 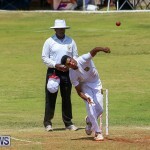 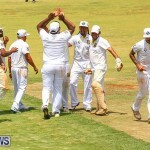 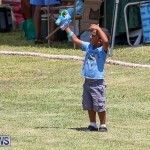 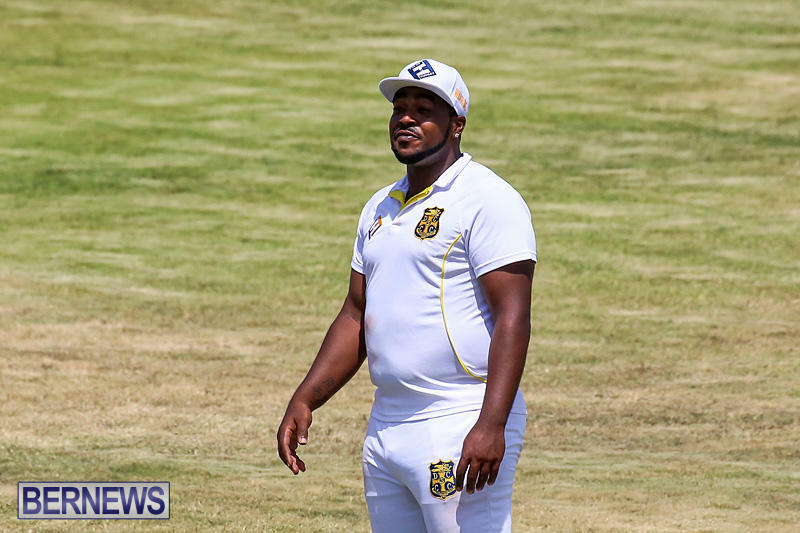 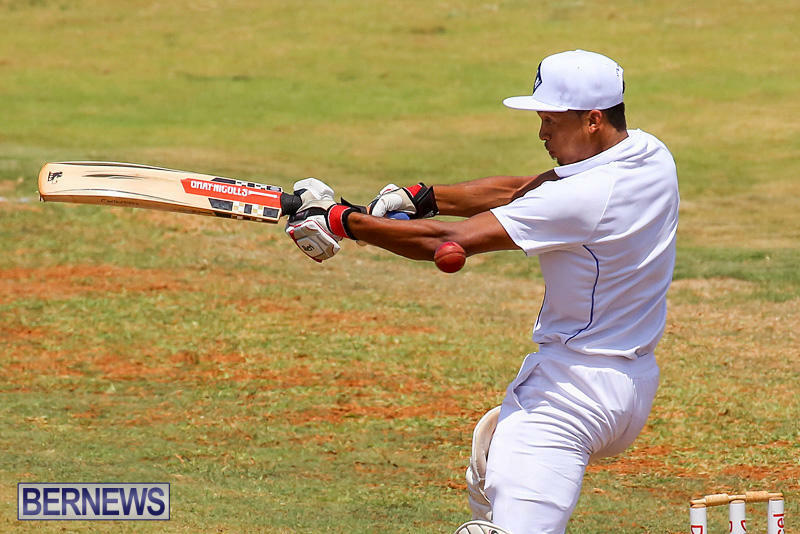 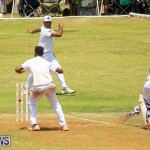 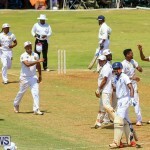 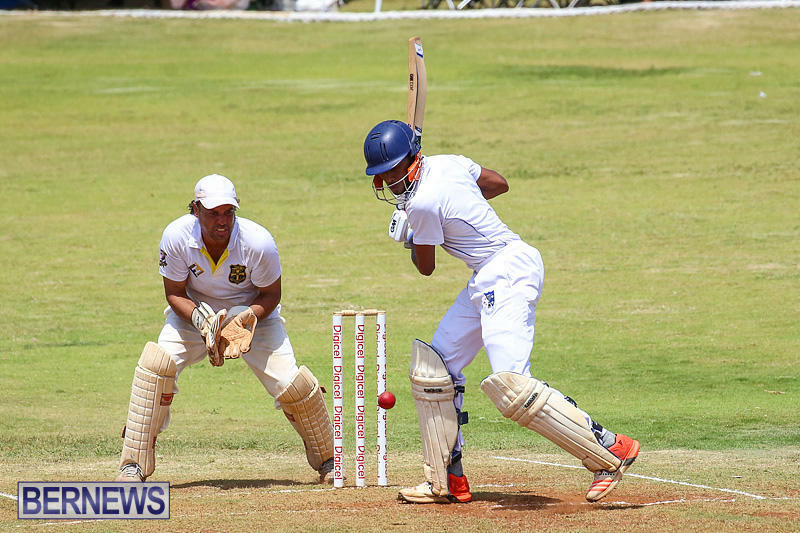 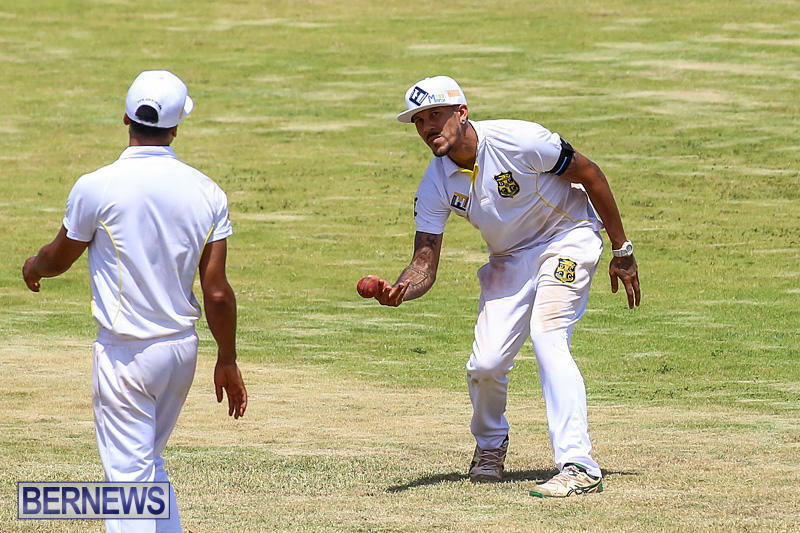 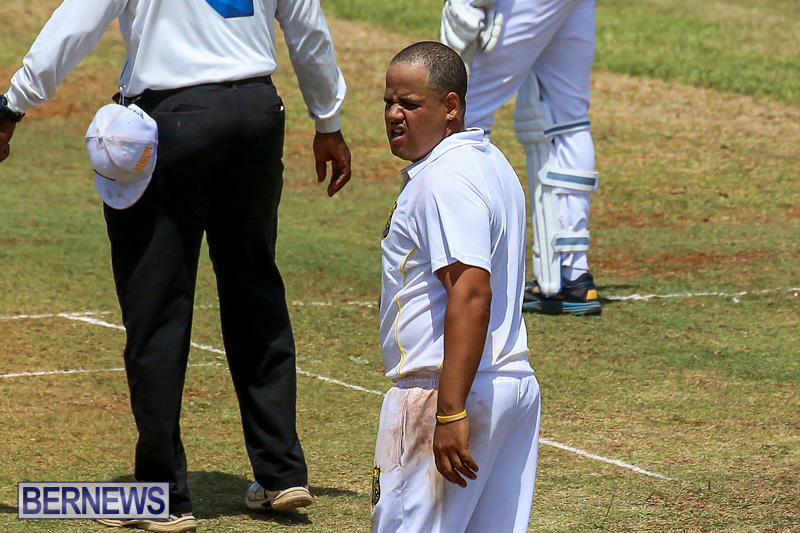 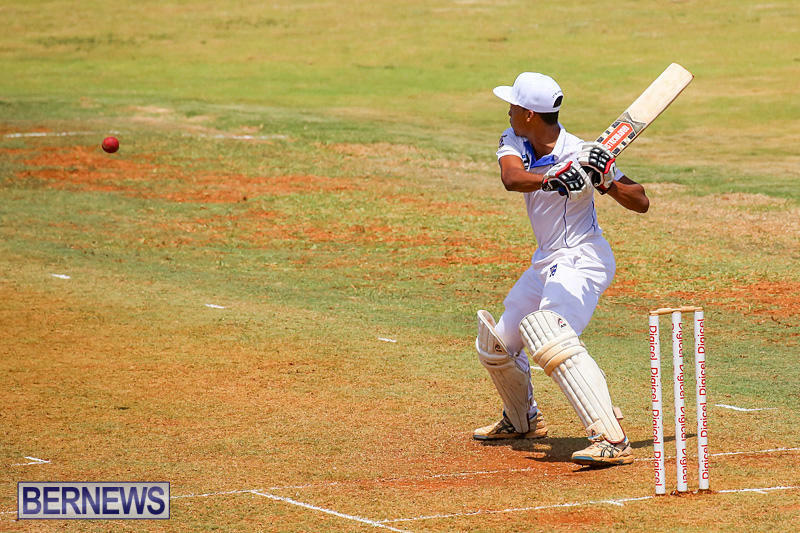 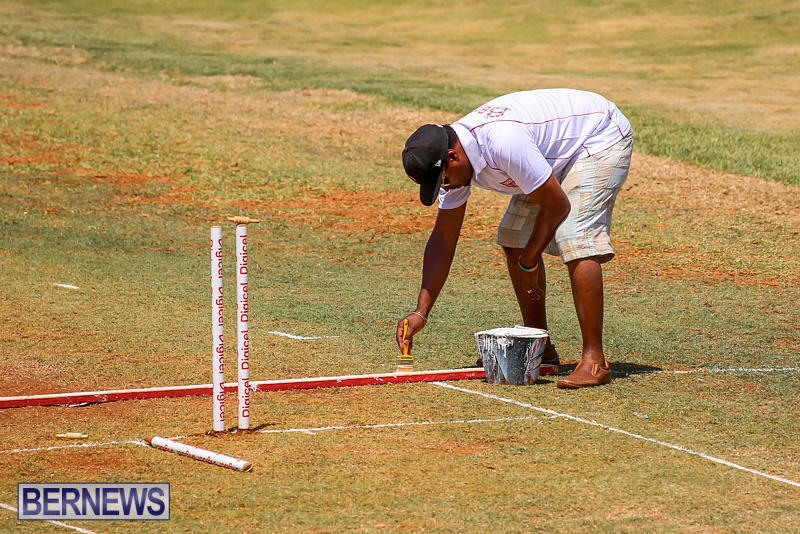 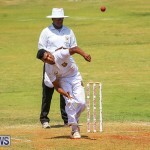 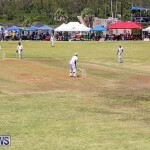 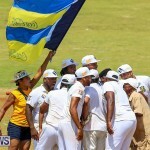 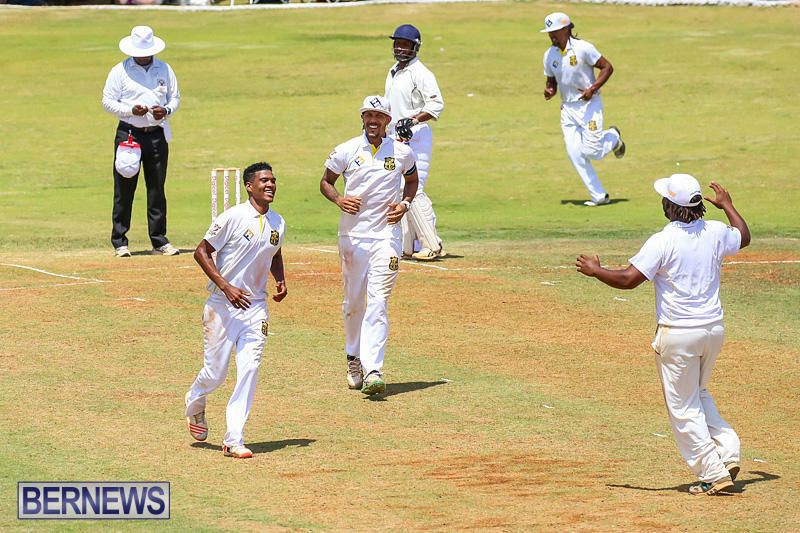 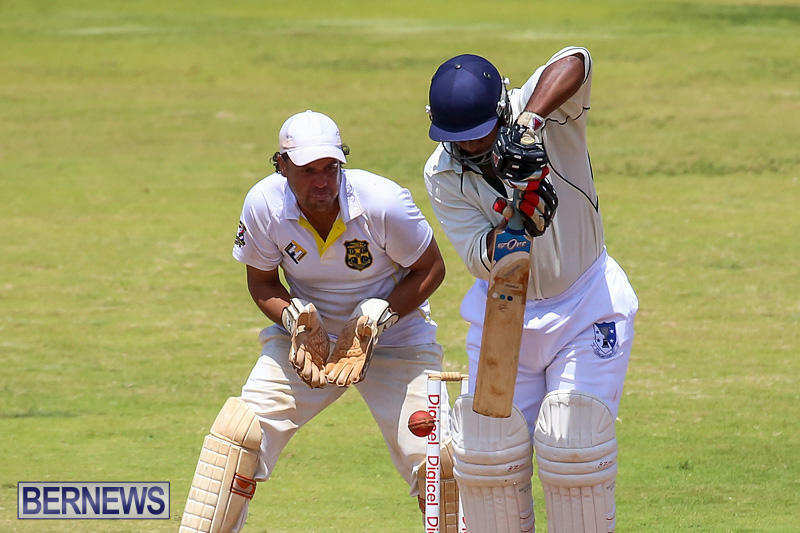 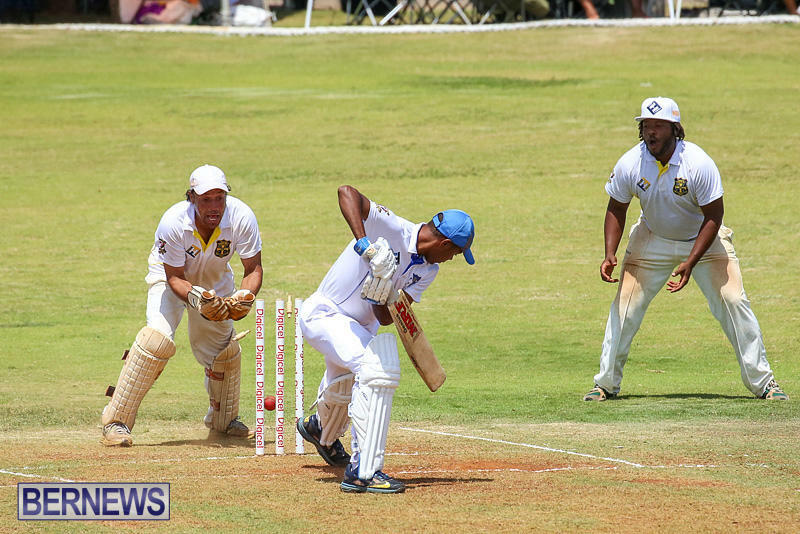 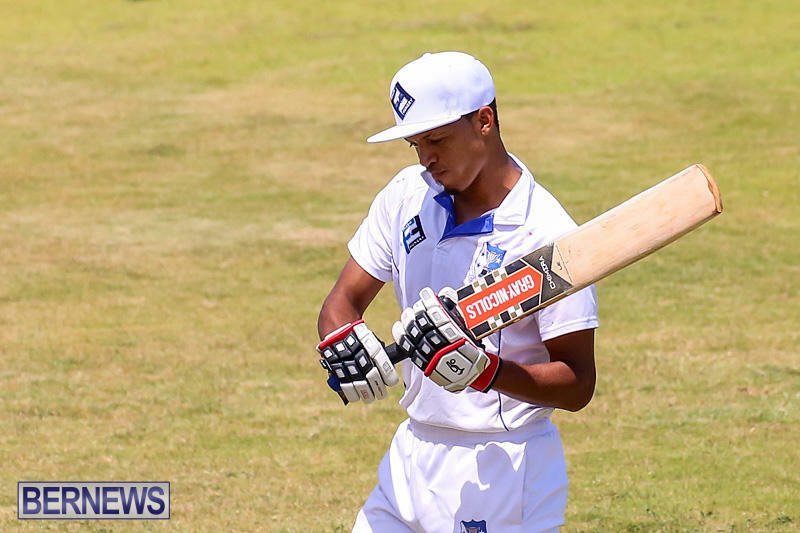 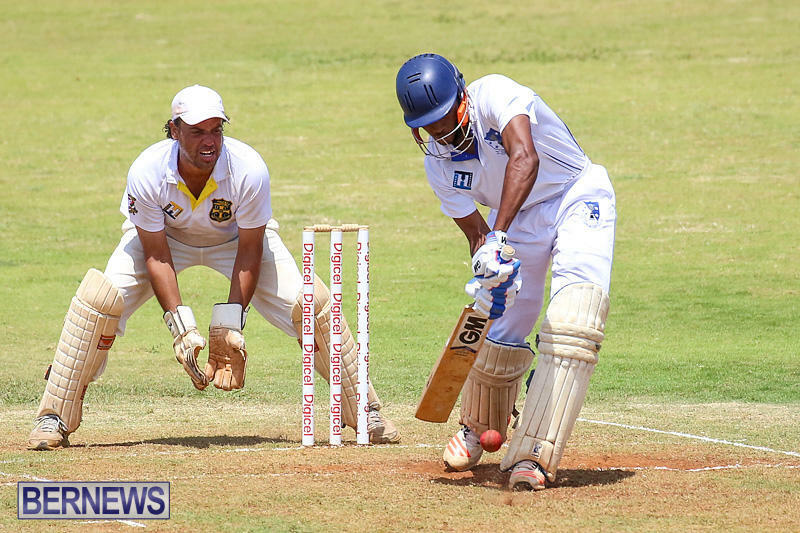 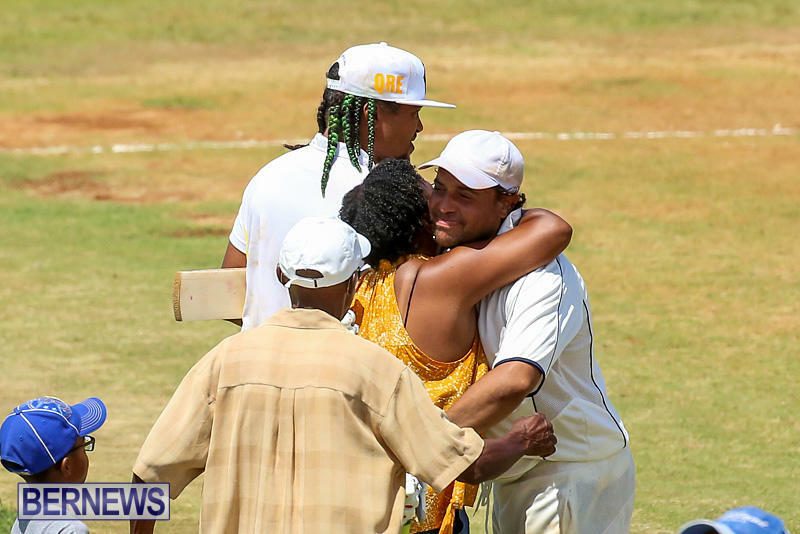 [Updated] St. David’s County Cricket Club have won the second round of the 2016 Eastern County Cup Classic held today [Aug 13] at the Bailey’s Bay Cricket Club. 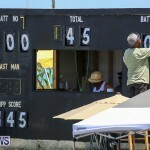 The east enders faced previous cup holders Cleveland County Cricket Club. 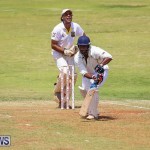 Cleveland County went to bat first amassing a total of 145 runs. 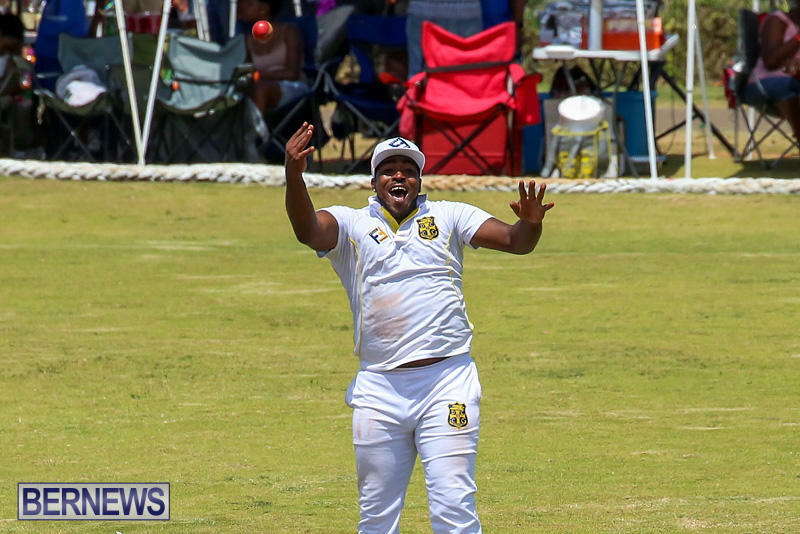 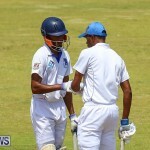 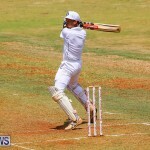 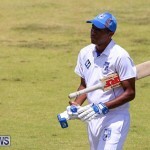 In reply St. David’s Cricket Club went down to their last two men at the crease and scored 151 for 9 in a nail biting finish with Rudell Pitcher sending the ball out for a six to secure the win. 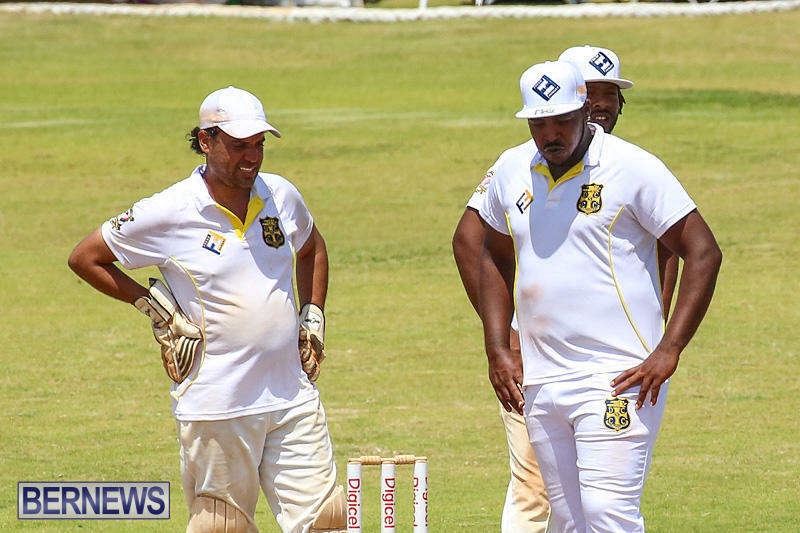 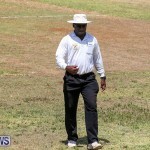 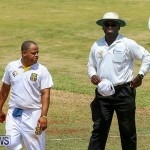 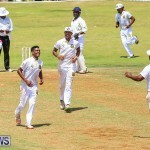 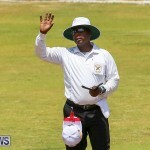 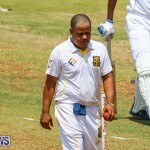 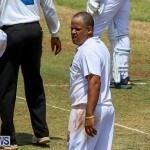 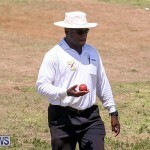 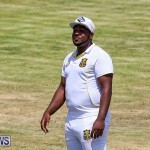 Update 8.10pm: Eastern Counties Cricket Association secretary Diallo Rabain said, “It was a great game for the series and cricket altogether. 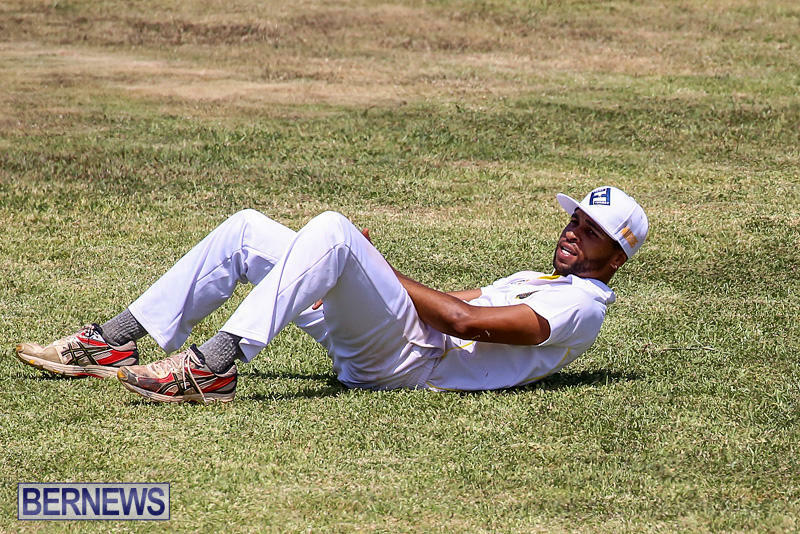 Nothing brings out the best of our players like Eastern County. 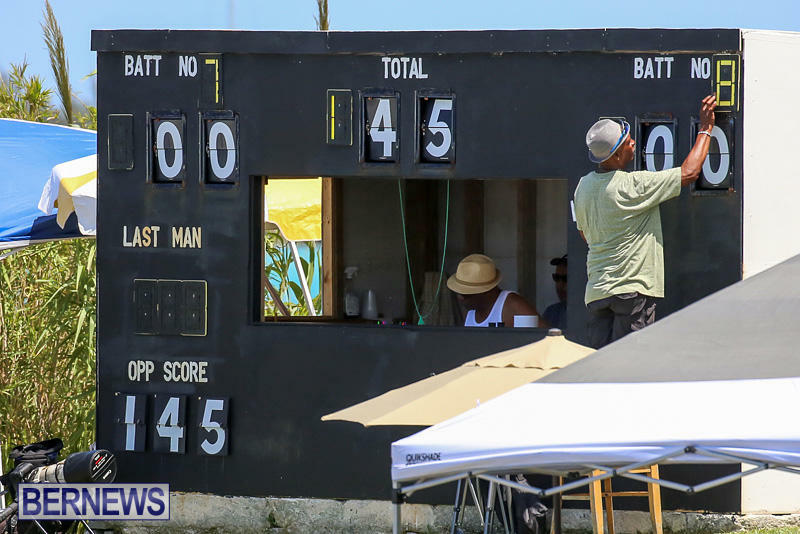 For the two original teams to play a game like this today, was truly a blessing. 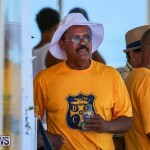 “When Cleveland was out for 145 many didn’t give them a chance. 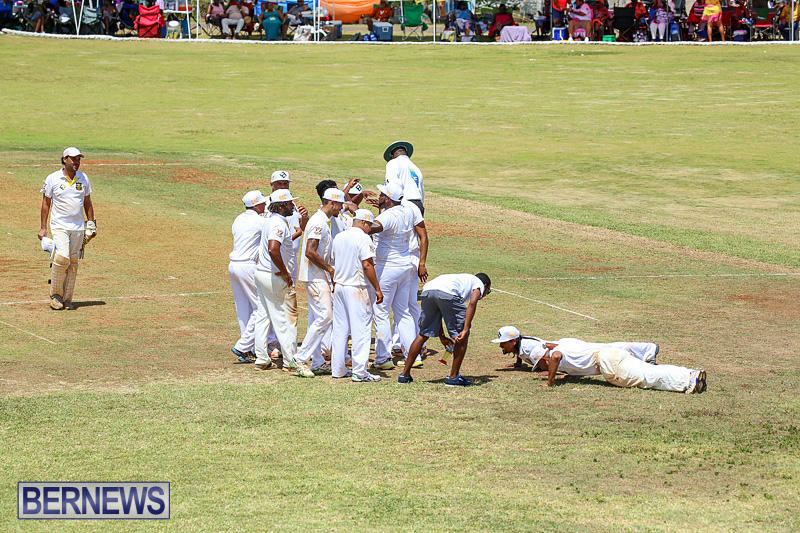 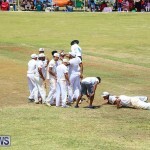 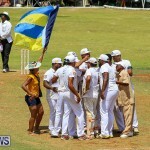 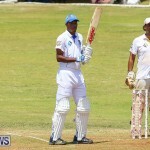 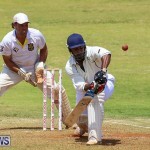 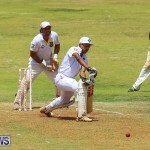 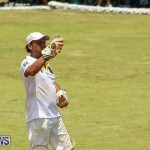 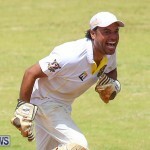 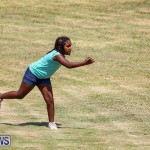 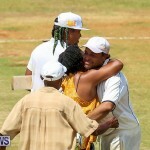 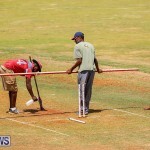 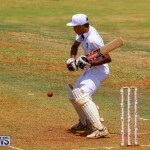 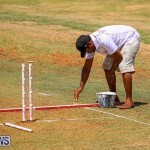 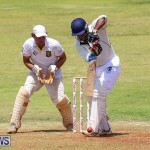 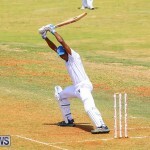 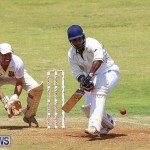 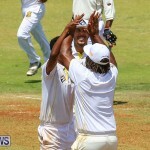 But when St. Davids was reduced to 124 for 9, we knew we were in for an exciting finish and we were not disappointed.